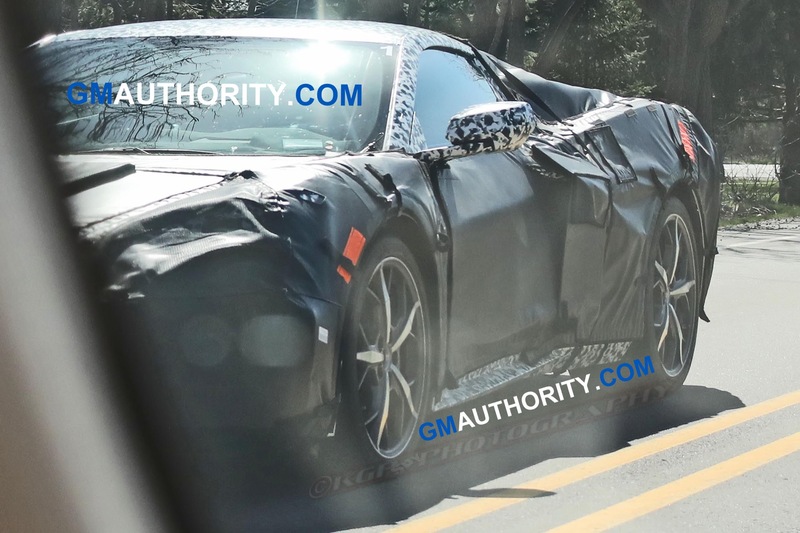 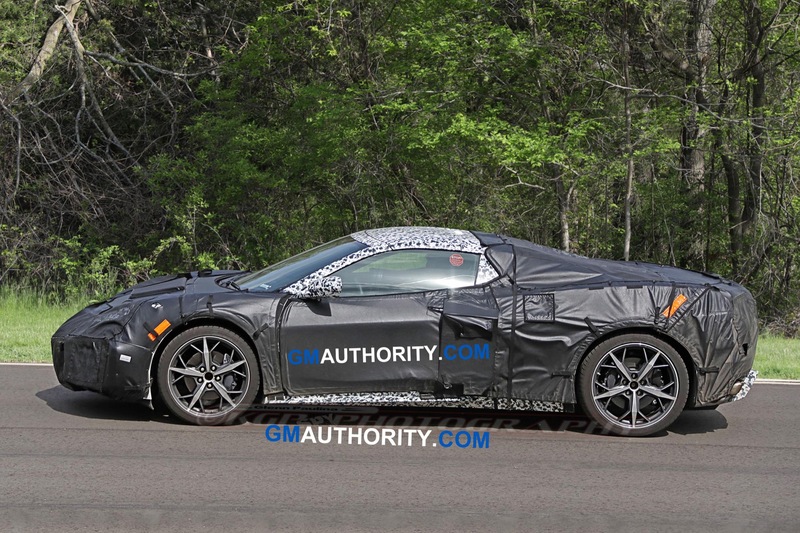 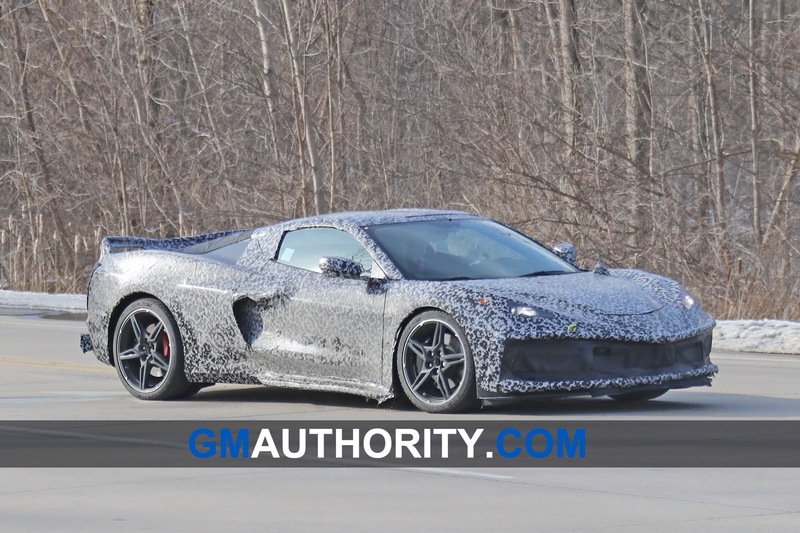 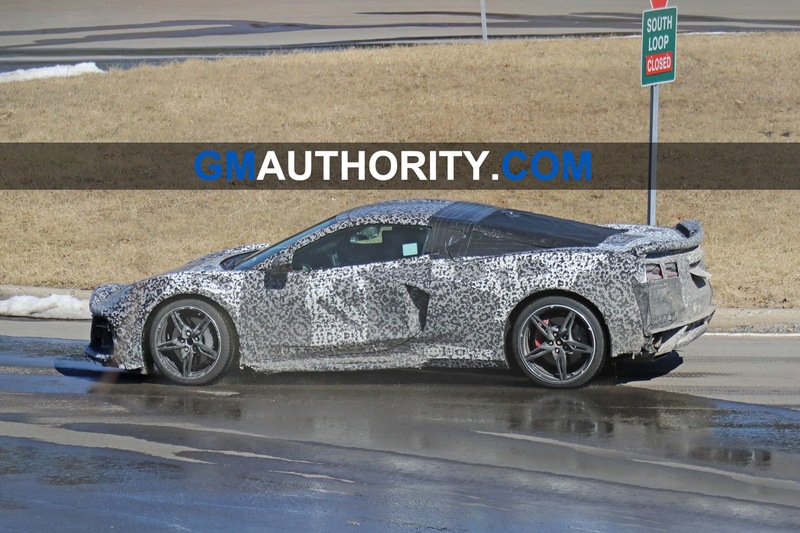 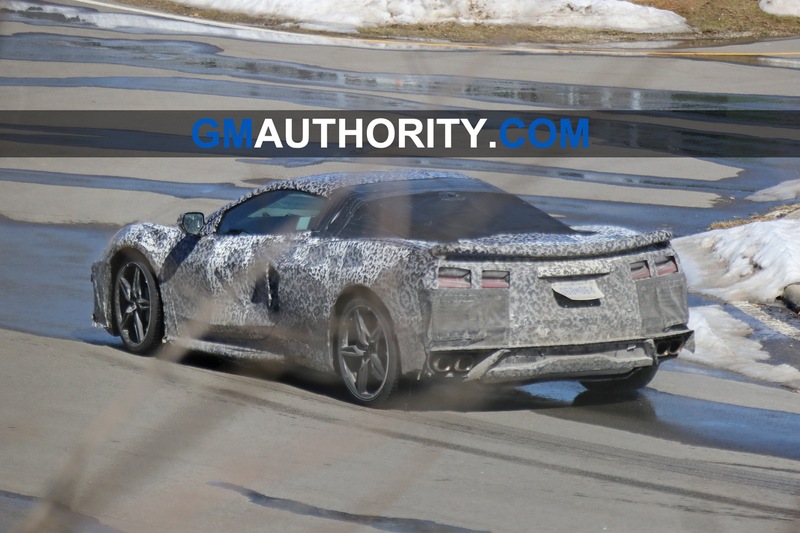 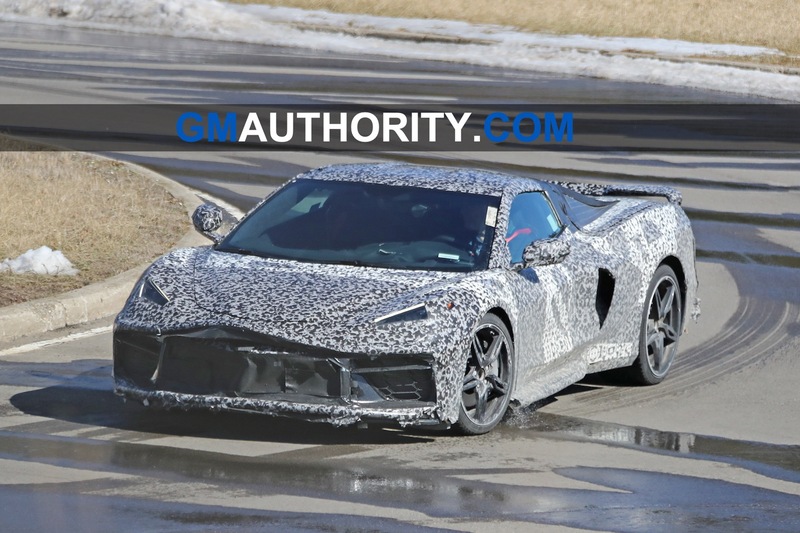 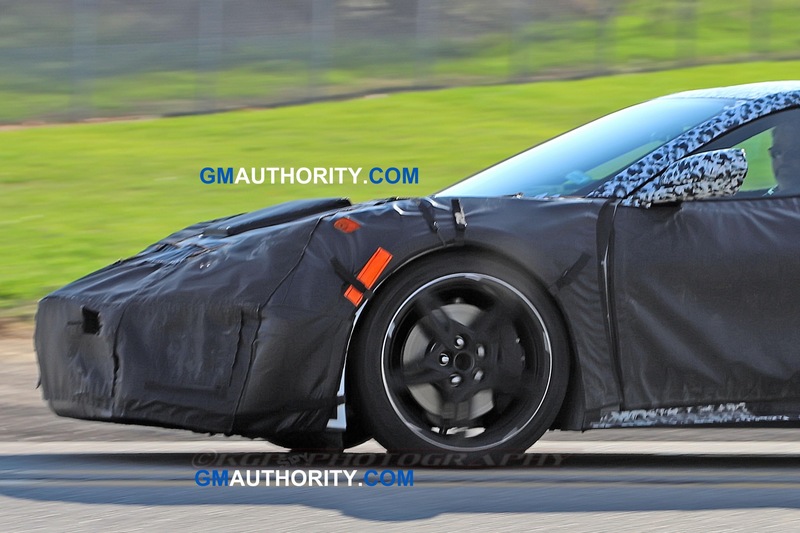 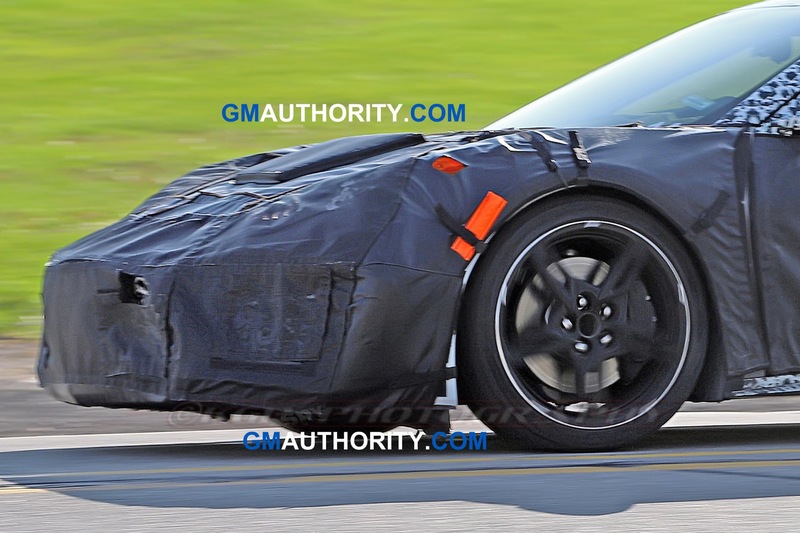 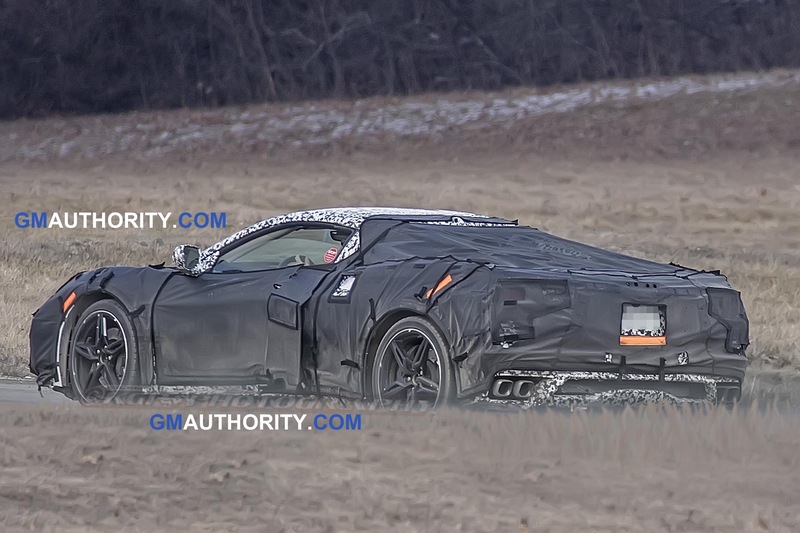 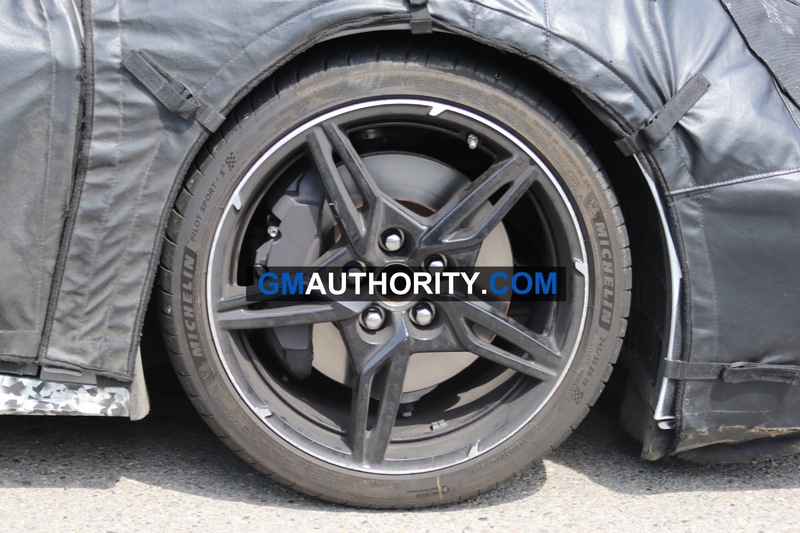 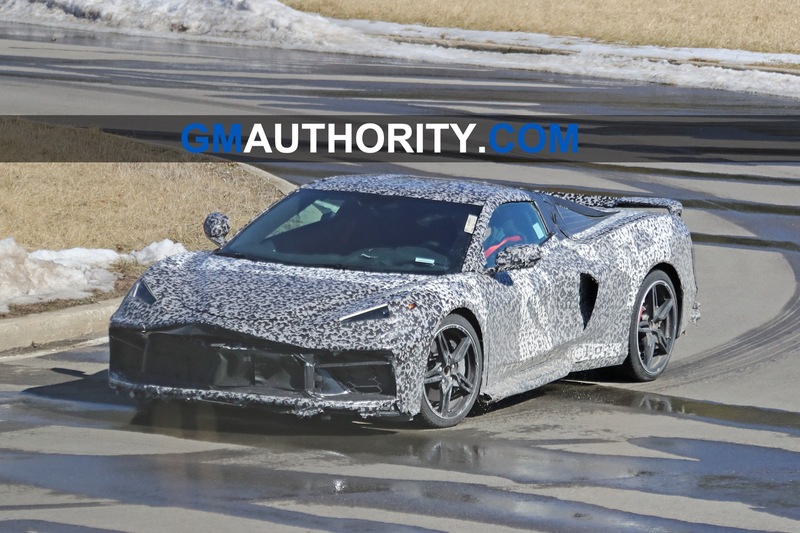 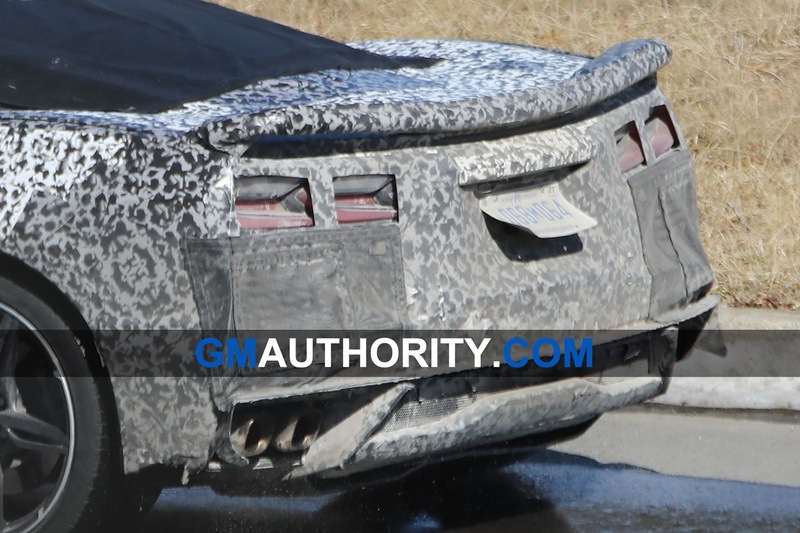 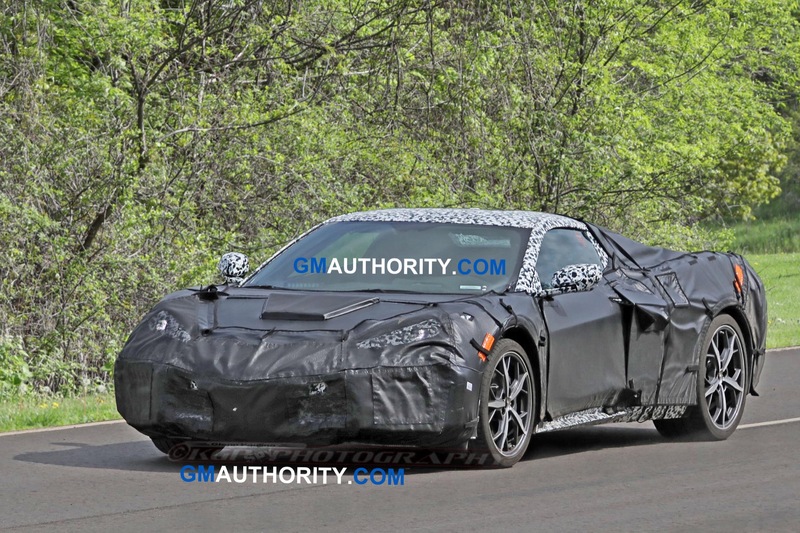 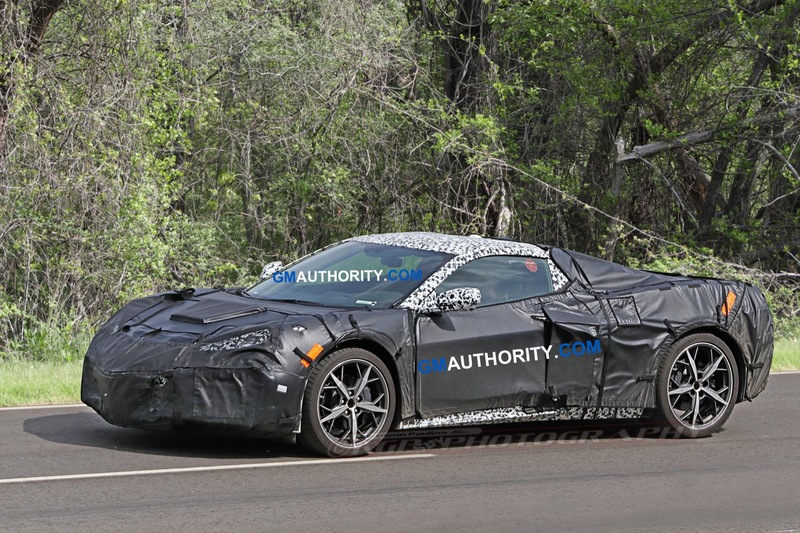 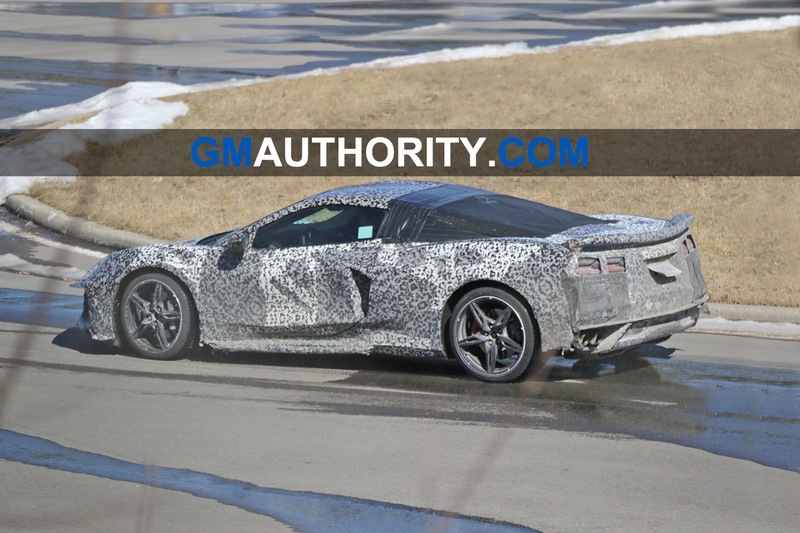 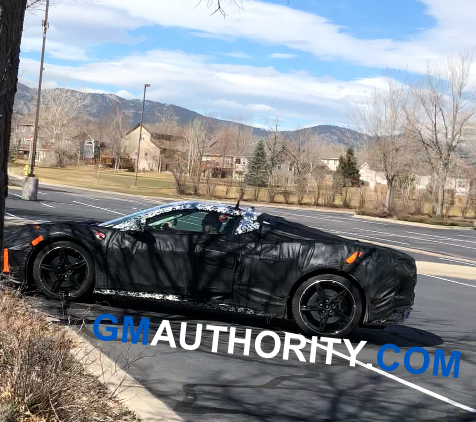 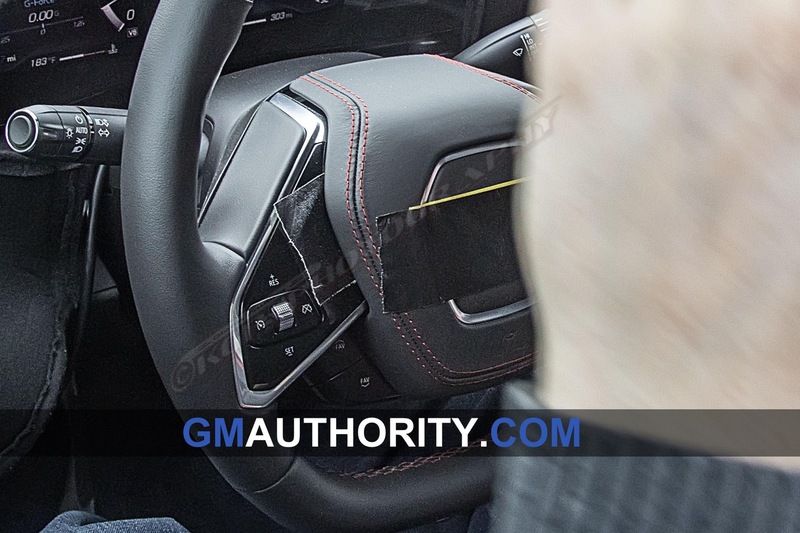 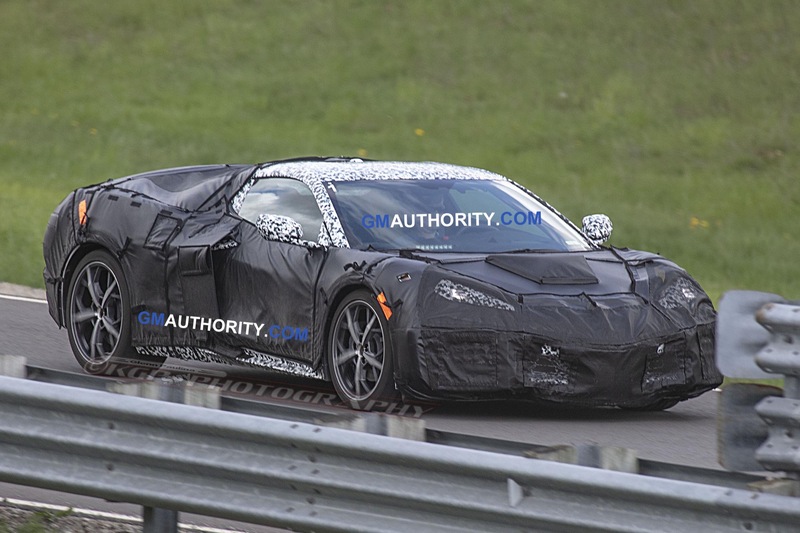 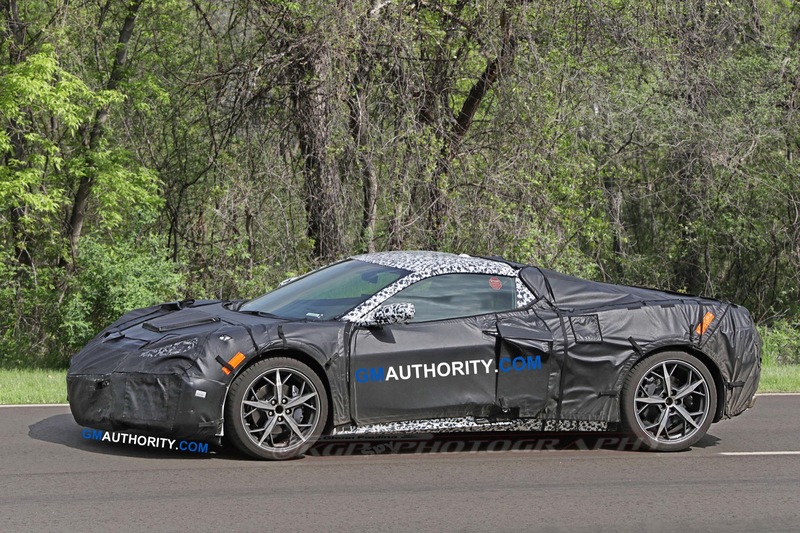 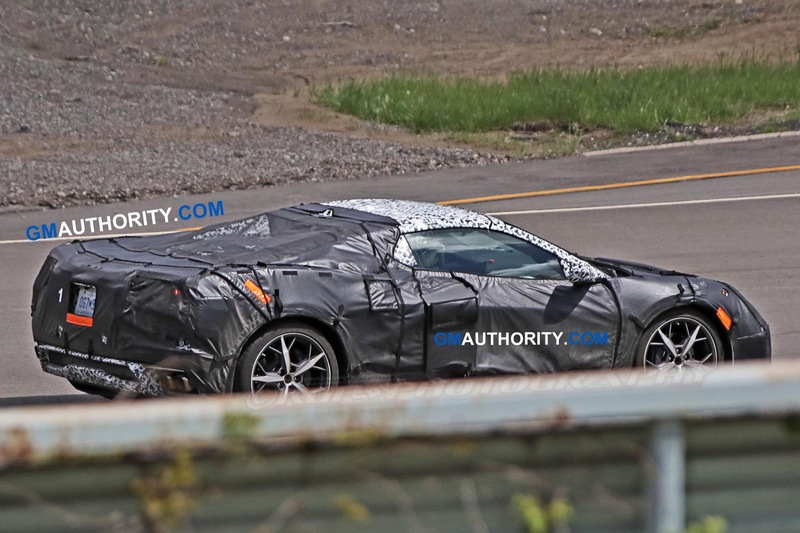 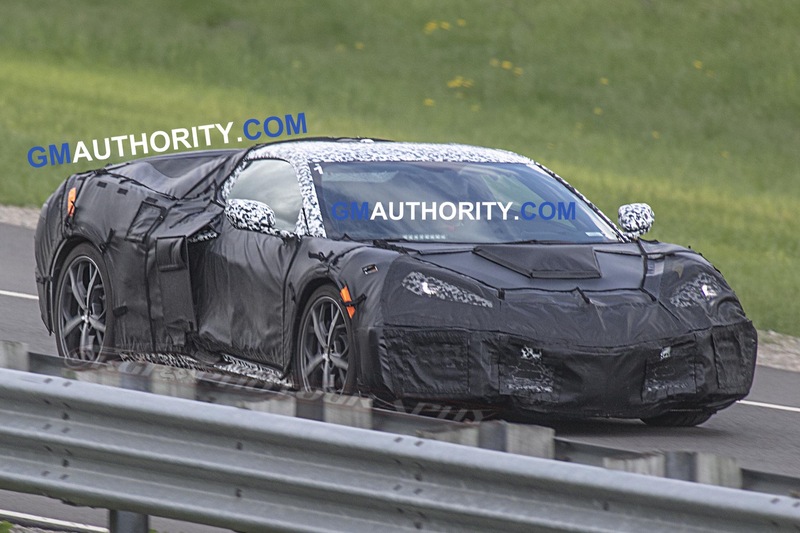 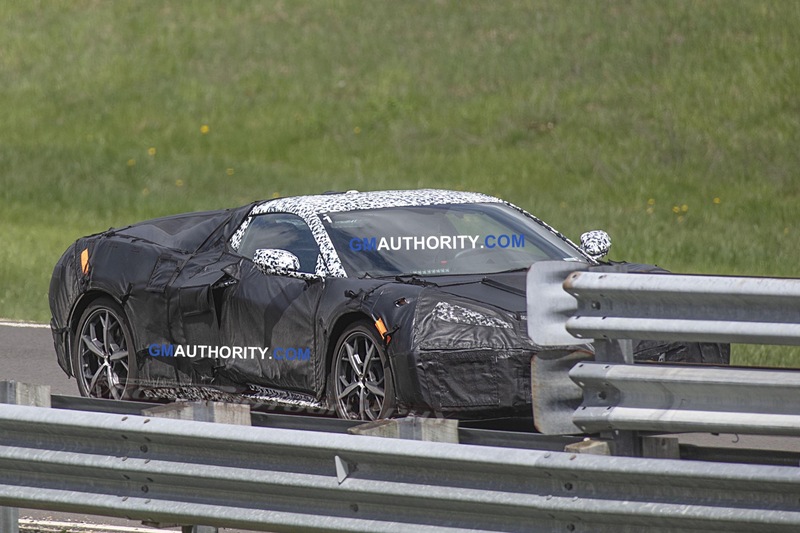 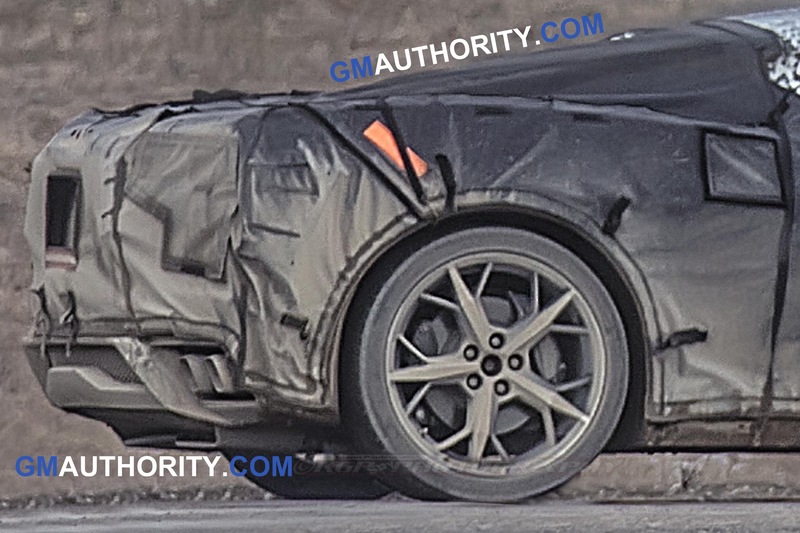 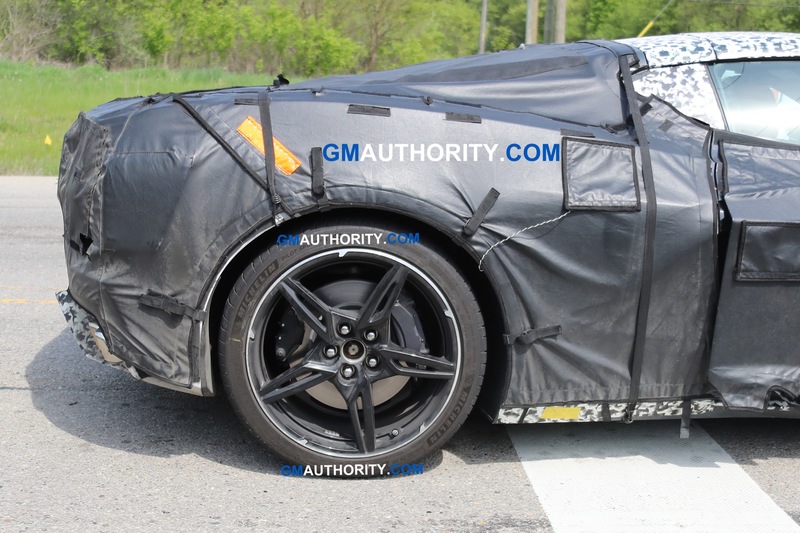 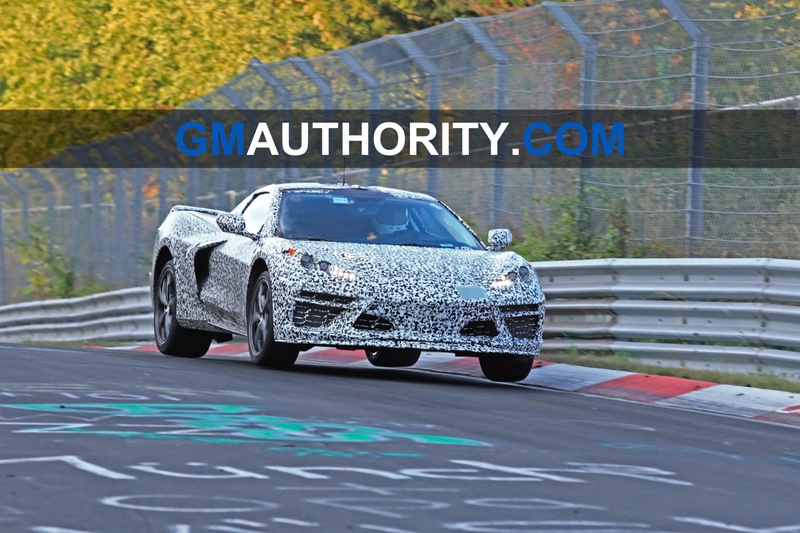 A user on Corvette Forum has it on good authority that a mid-engine Corvette C8 prototype suffered a crash while undergoing testing at Virginia International Raceway. 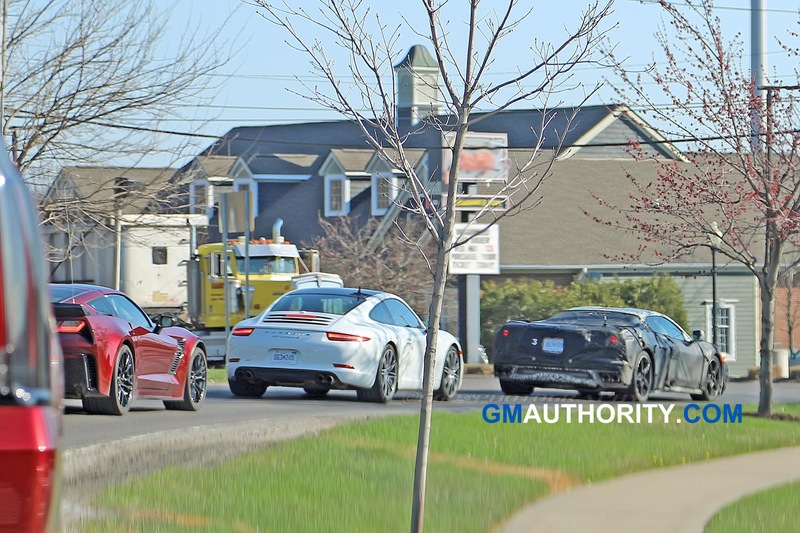 The user in question says they were on their way to do some instructing at VIR this past weekend when “an email was sent delaying any entry into the paddock until 7:30 PM at the earliest,” which is later than normal. 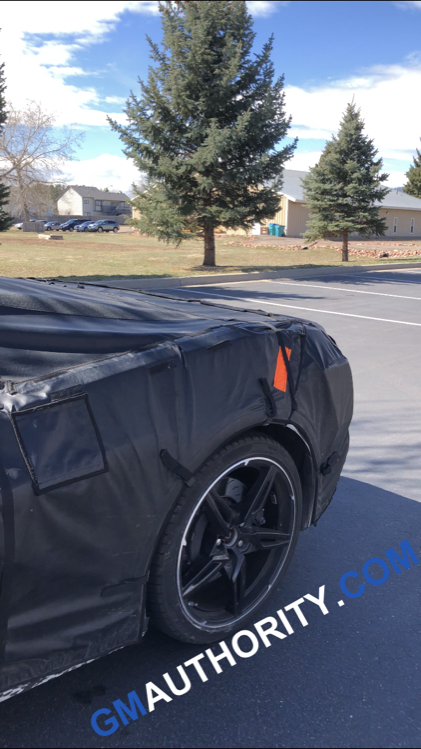 Organizers for the event then apologized, saying the track was experiencing unforeseen delays due to a “private high security” track rental. 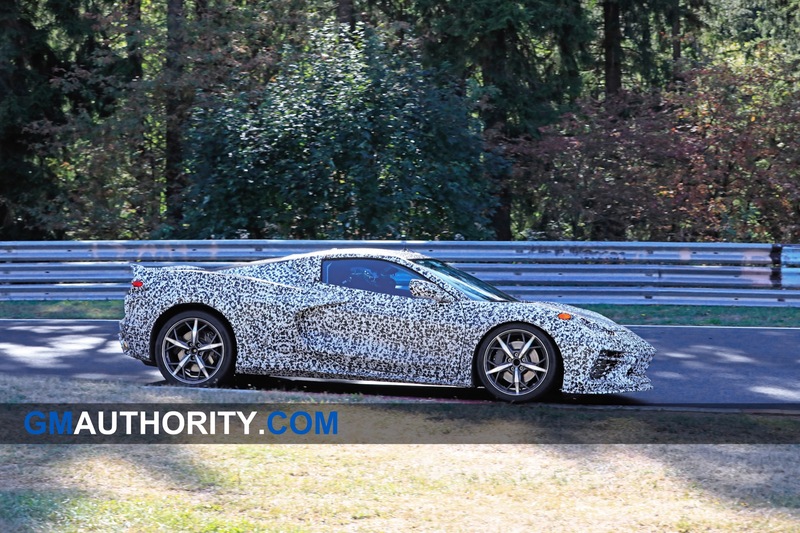 They later heard chatter that Chevrolet was at the track testing the twin-turbocharged version of the mid-engine Corvette C8 when it crashed. 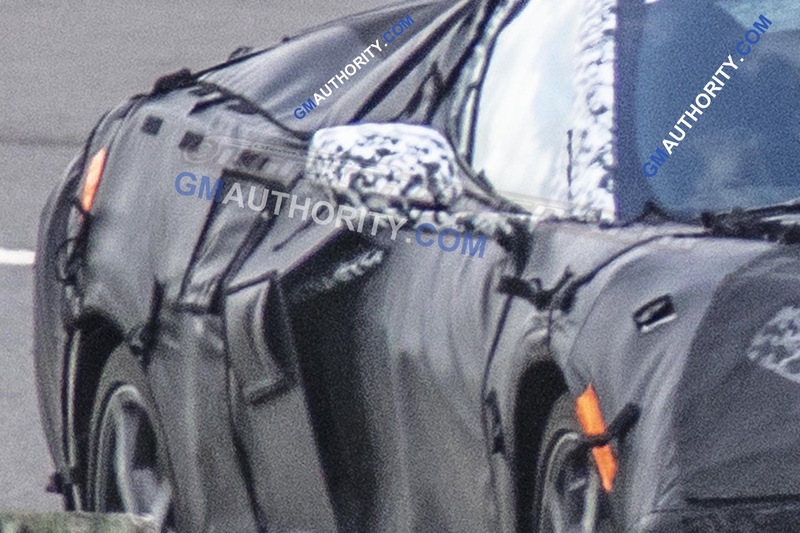 The user also said this was “confirmed” by a source that they did not want to name. 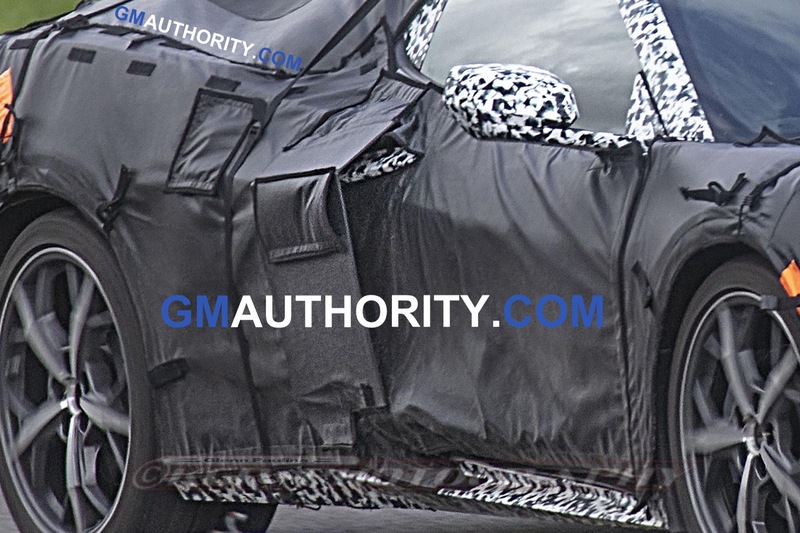 No one will blame you for being skeptical of a random poster on the Internet, but this rumor isn’t totally baseless. 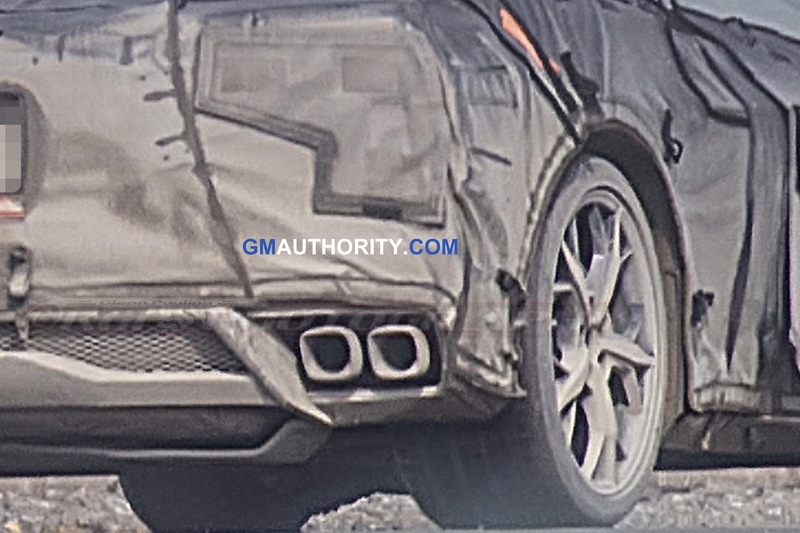 A friend of the original poster doubled back to VIR and managed to pick up a camouflaged part from the crashed car that General Motors allegedly left behind, which you can view at this link. 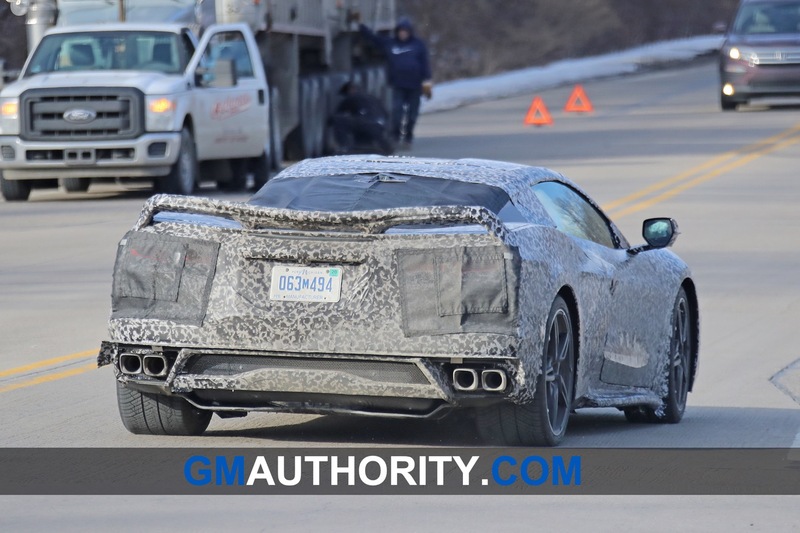 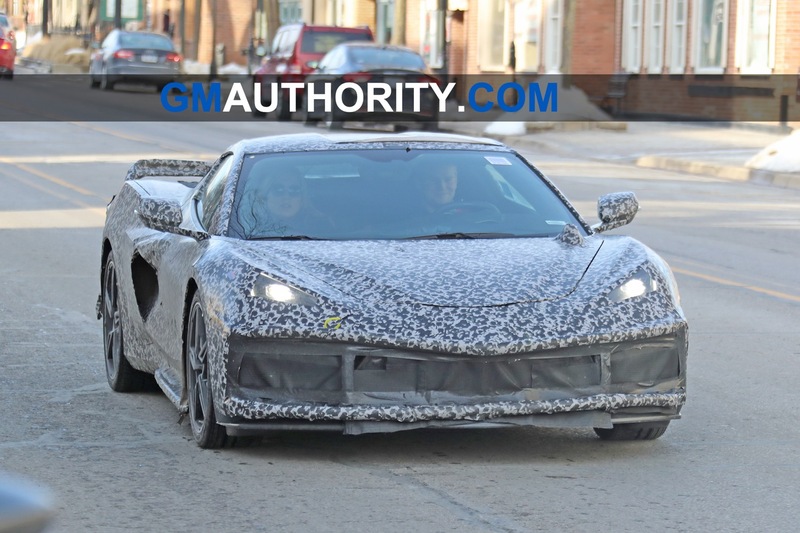 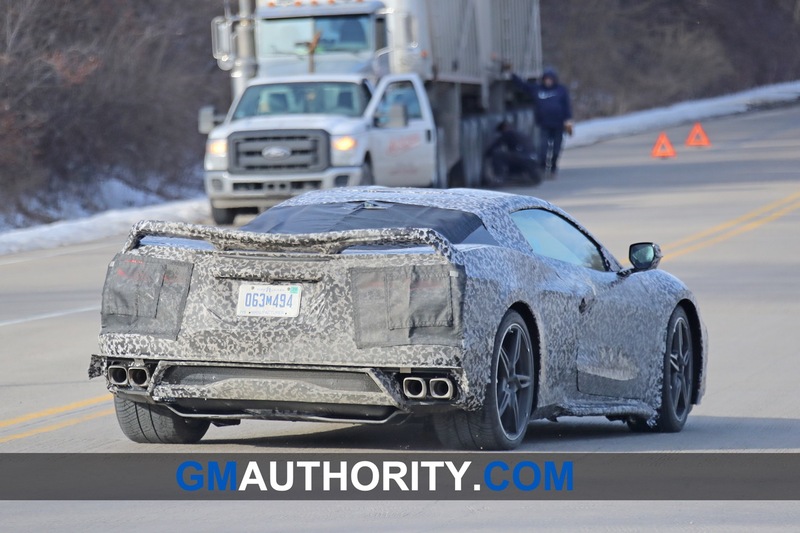 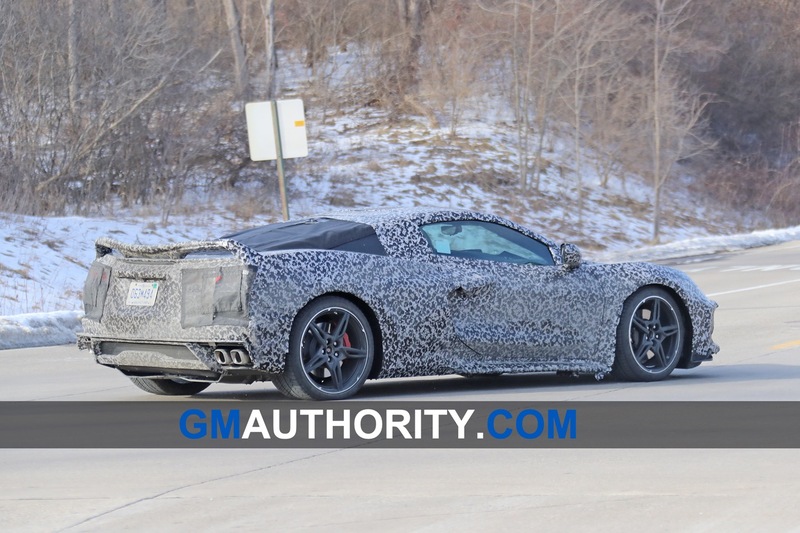 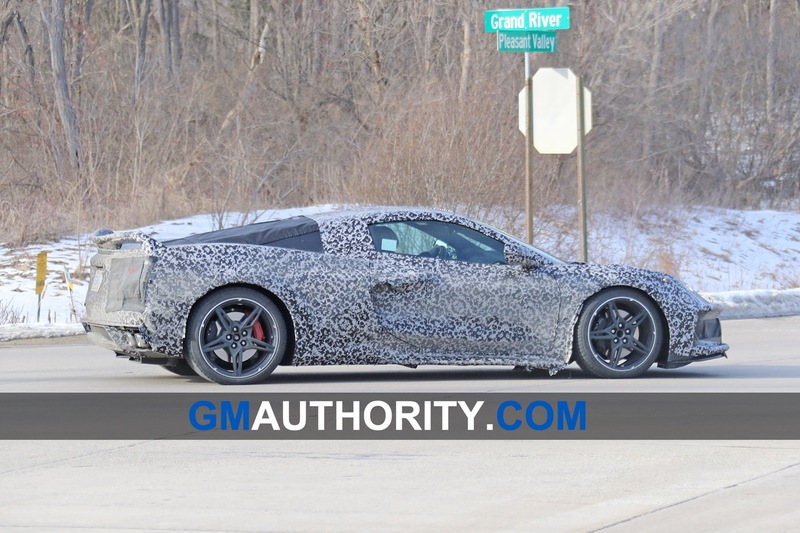 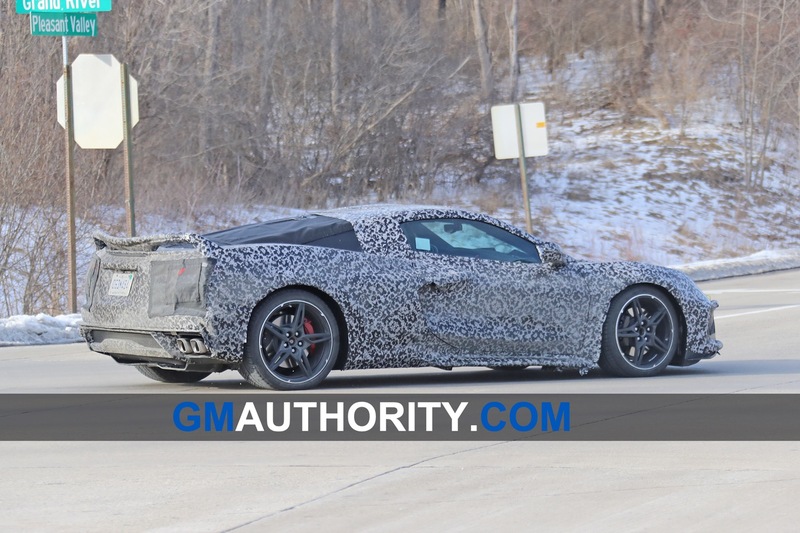 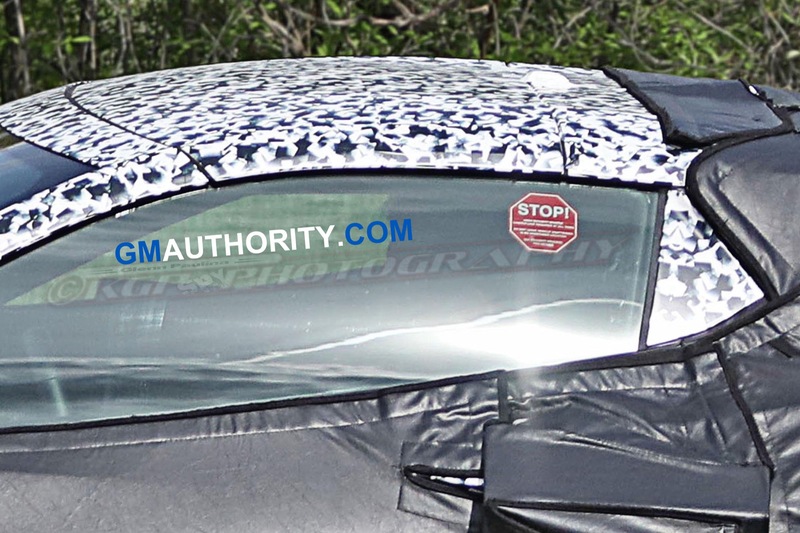 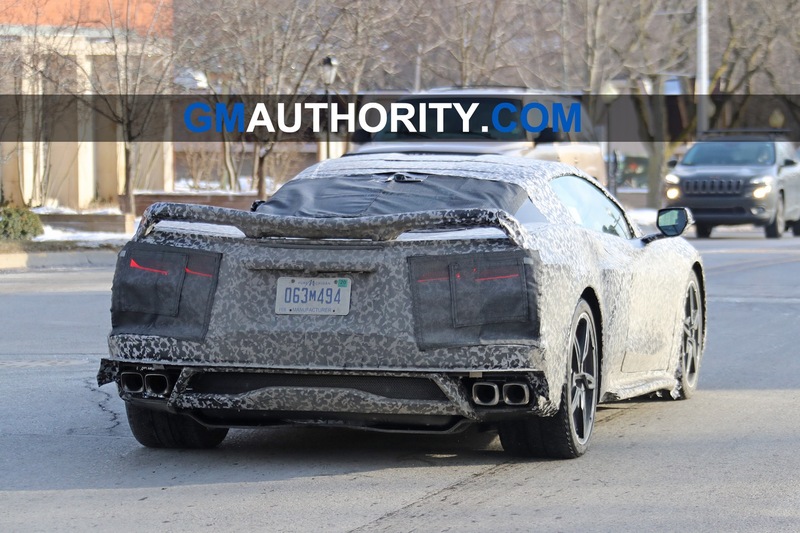 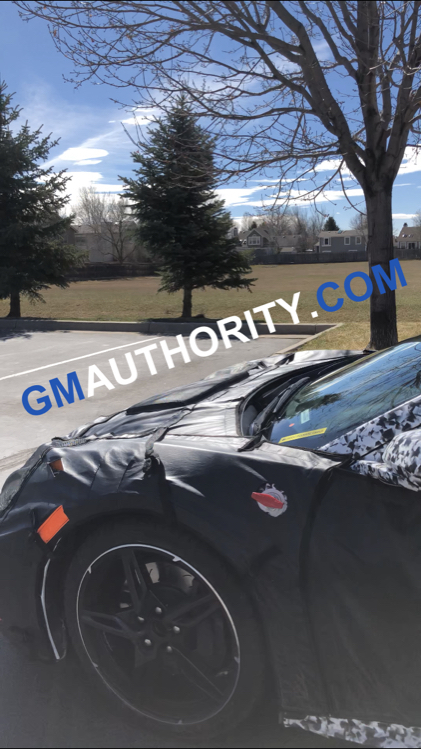 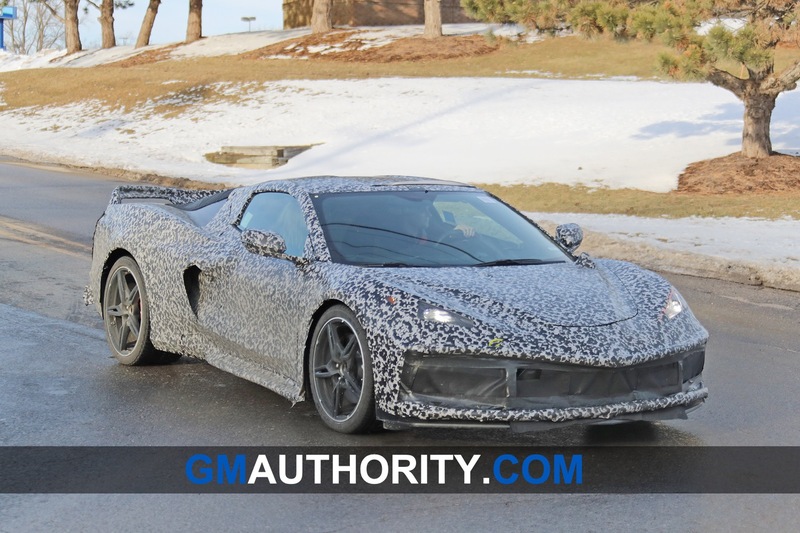 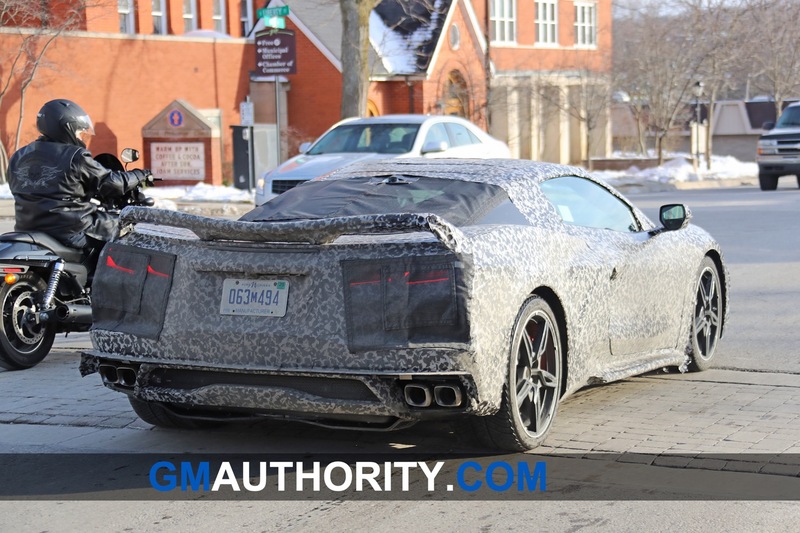 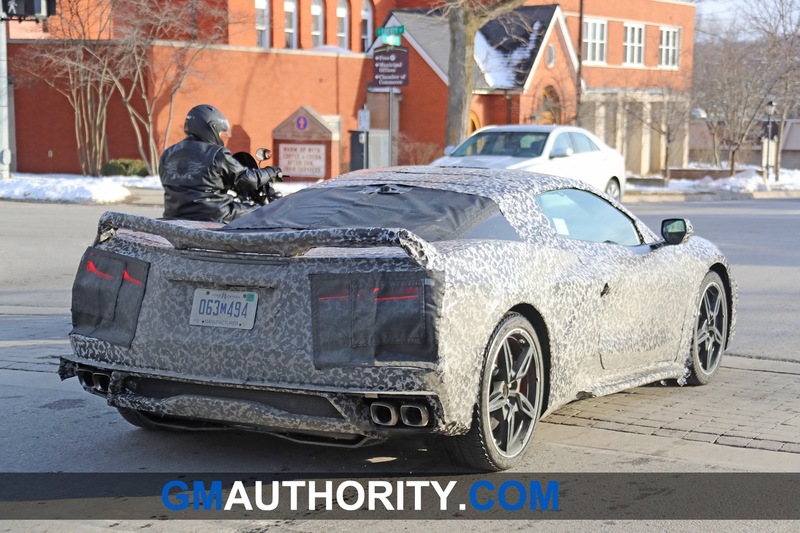 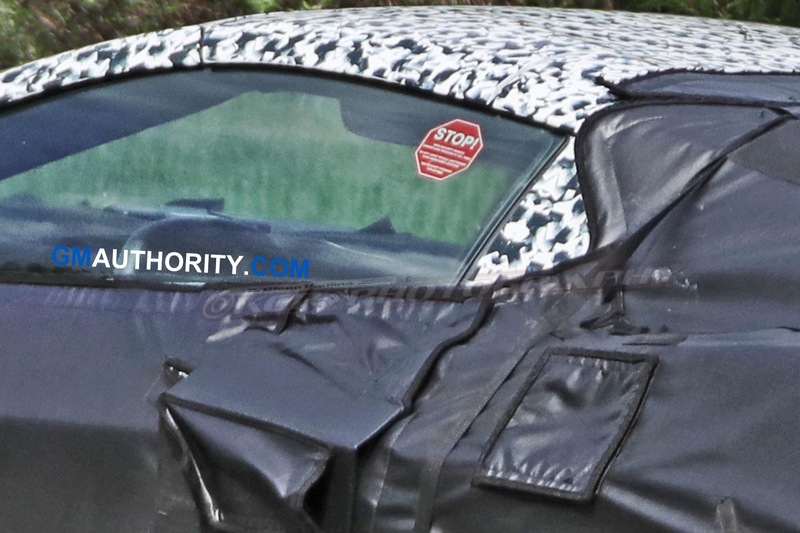 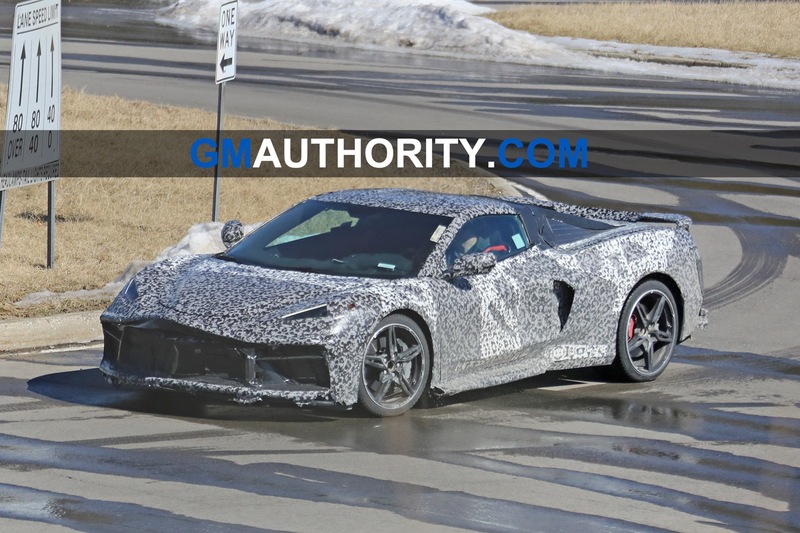 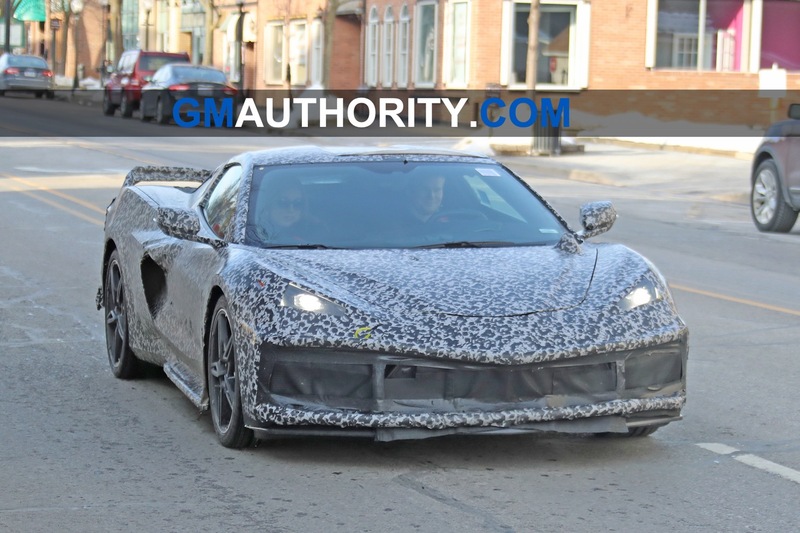 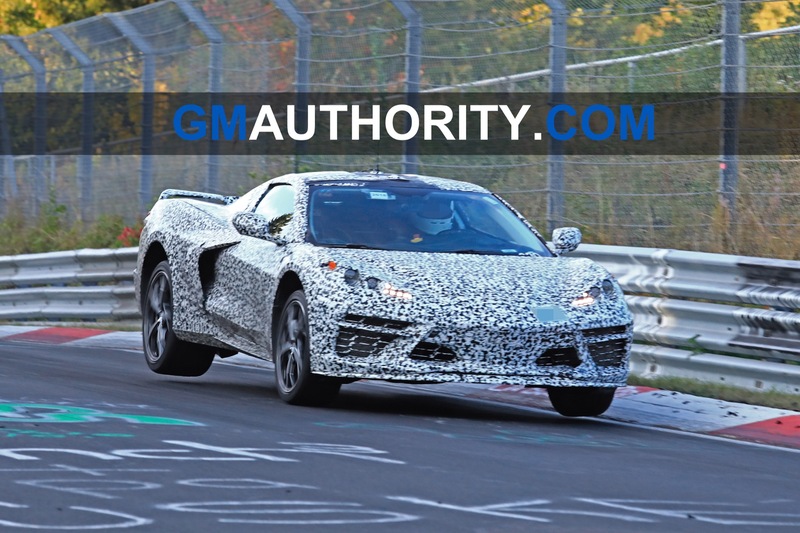 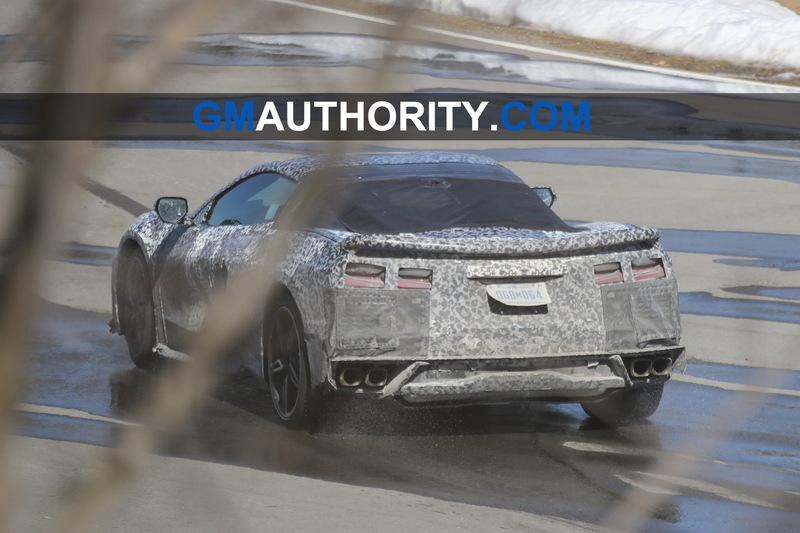 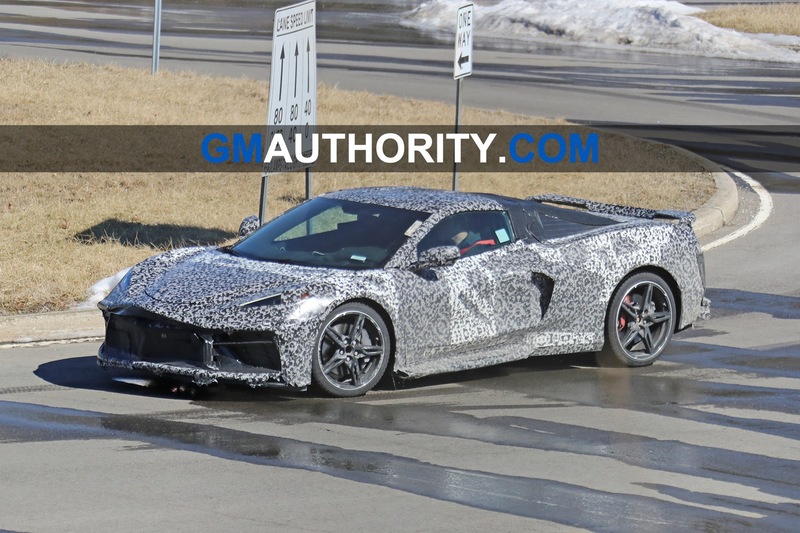 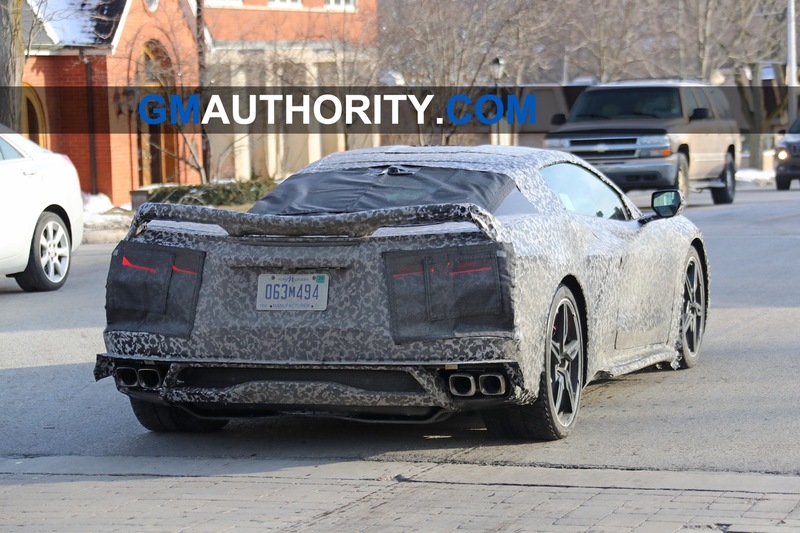 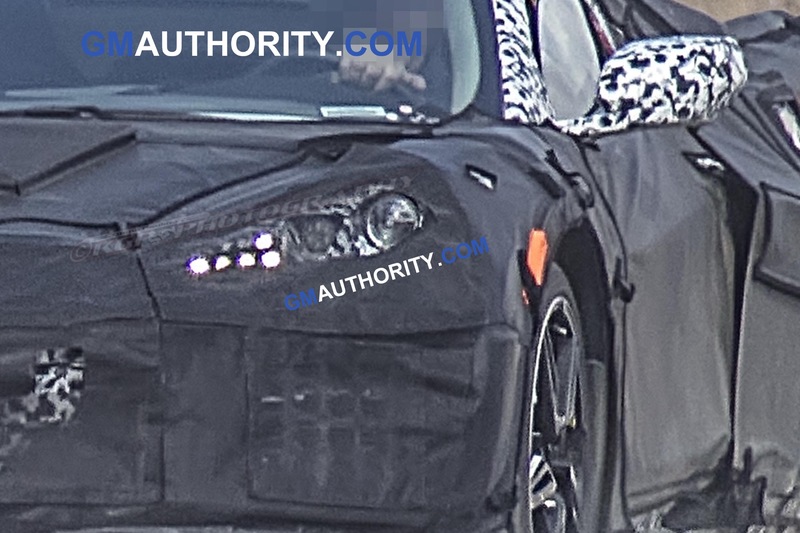 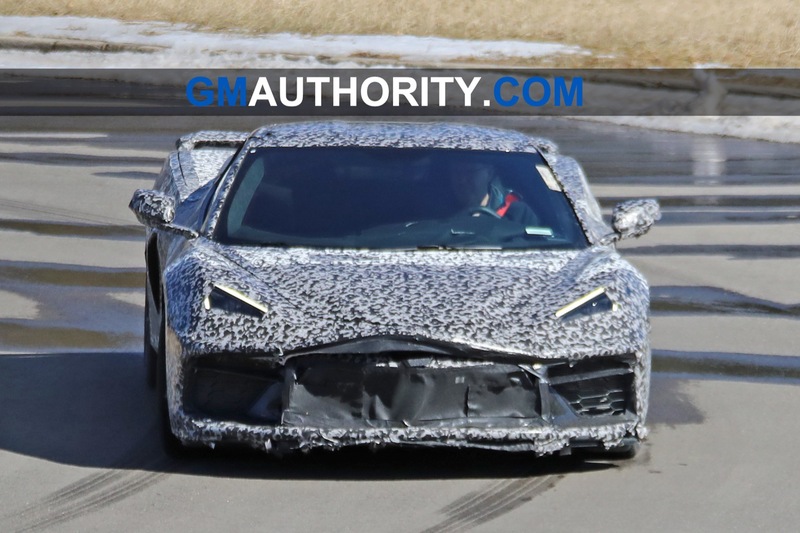 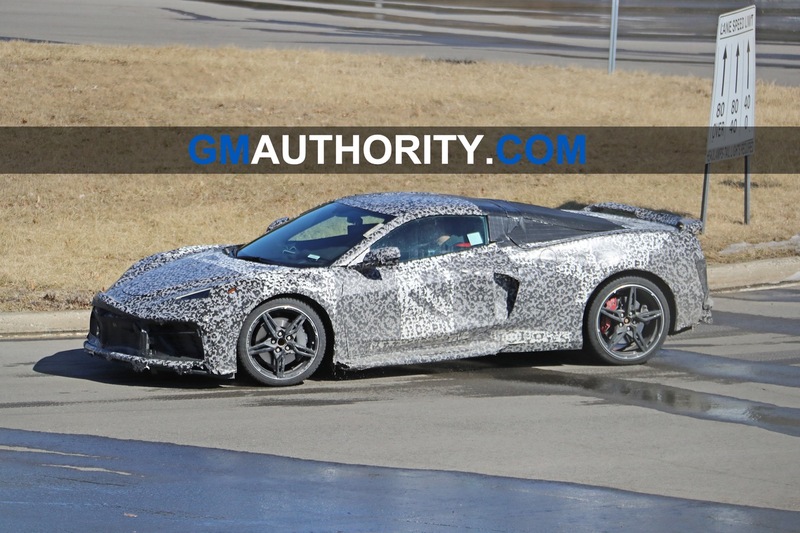 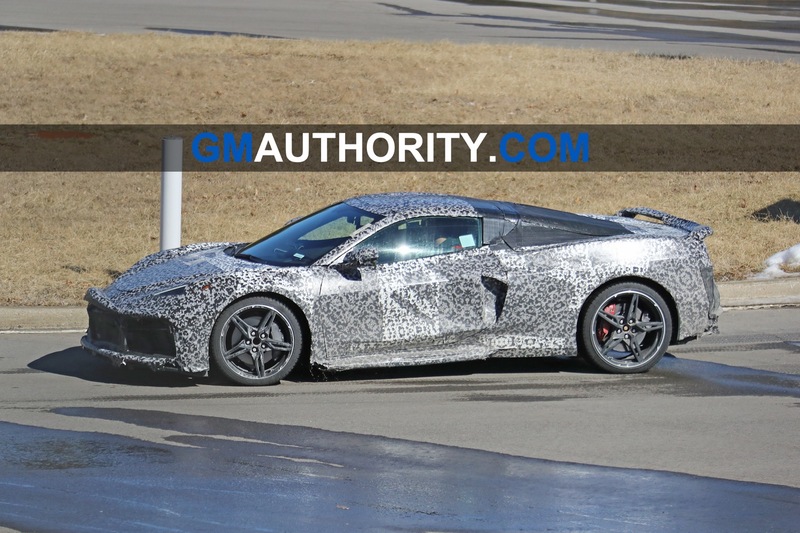 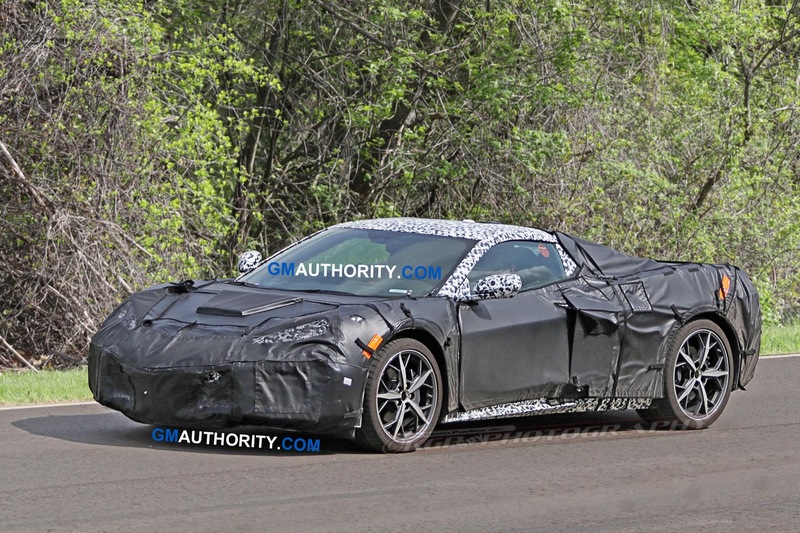 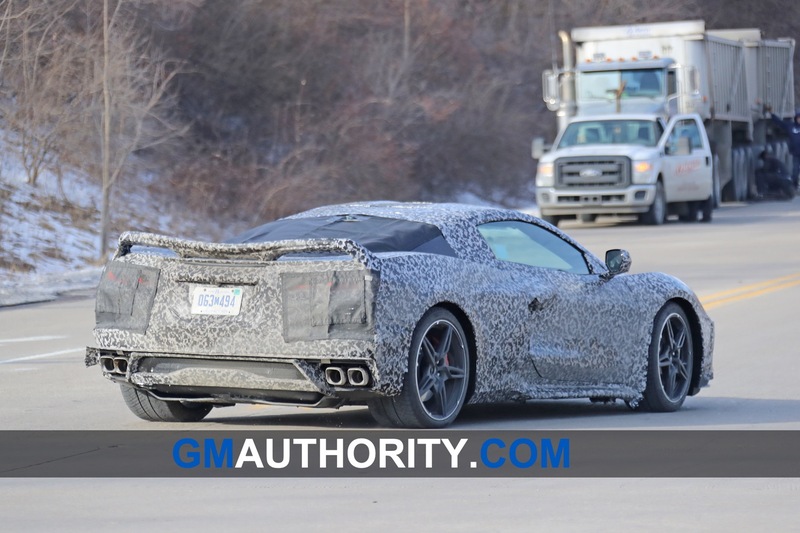 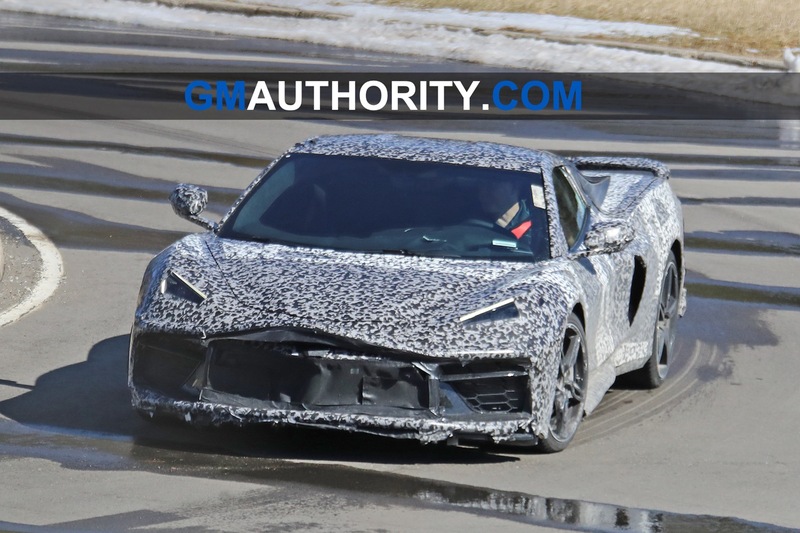 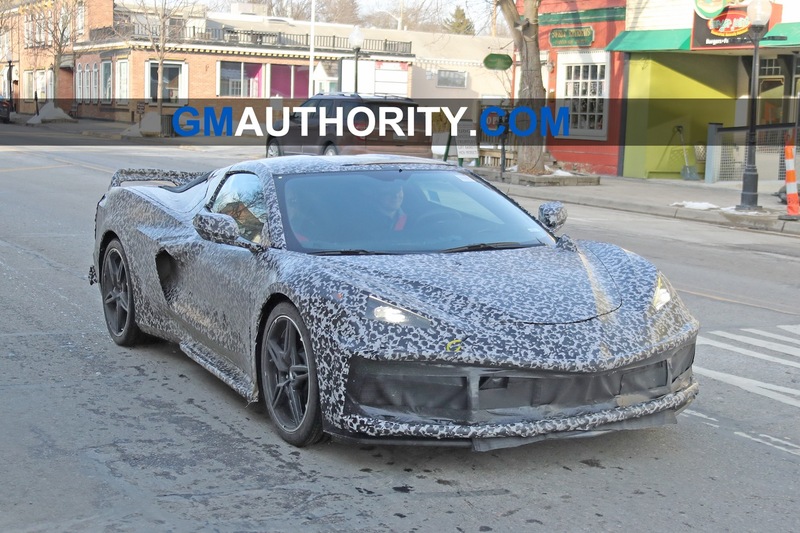 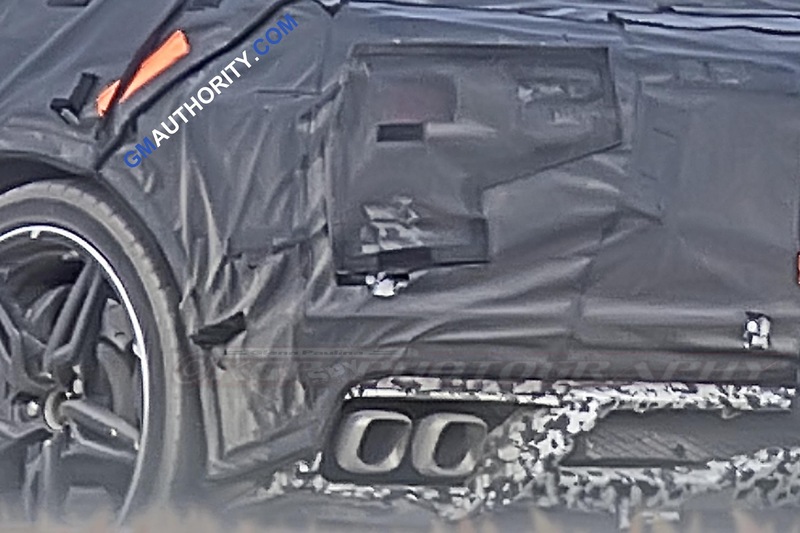 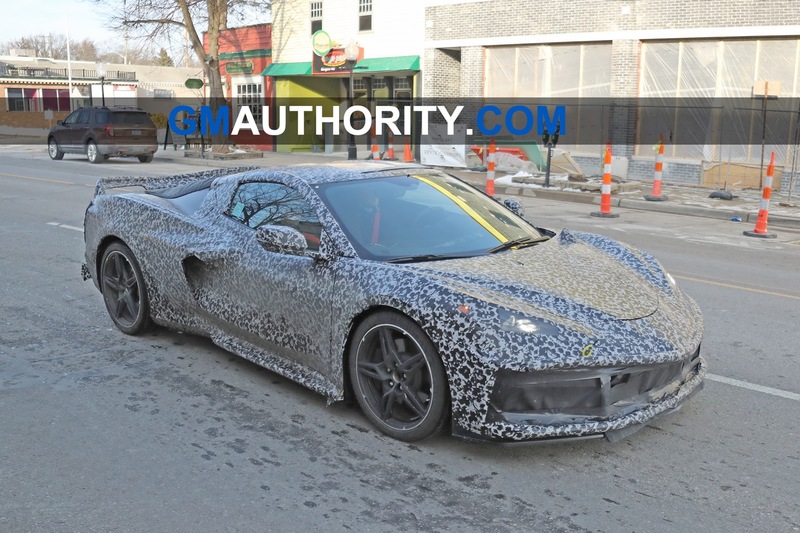 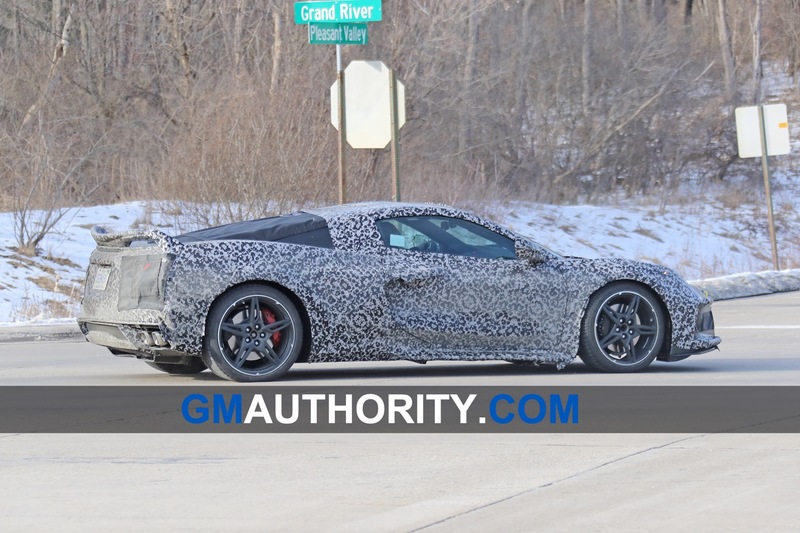 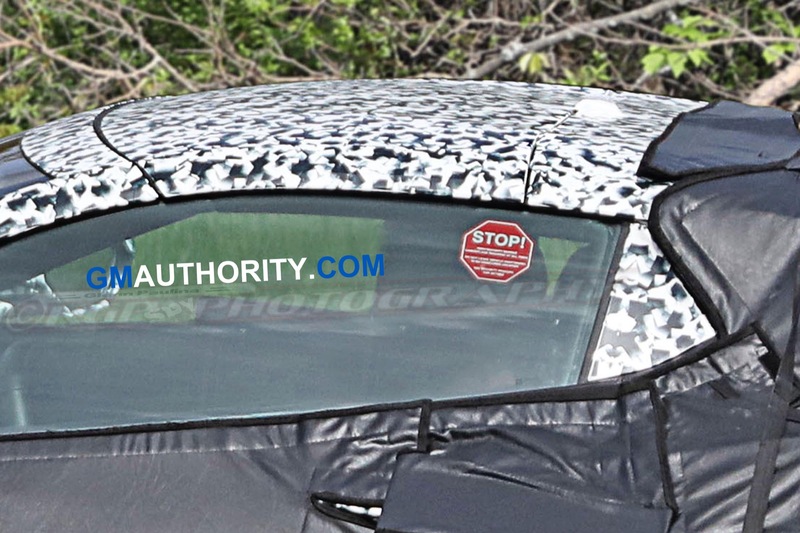 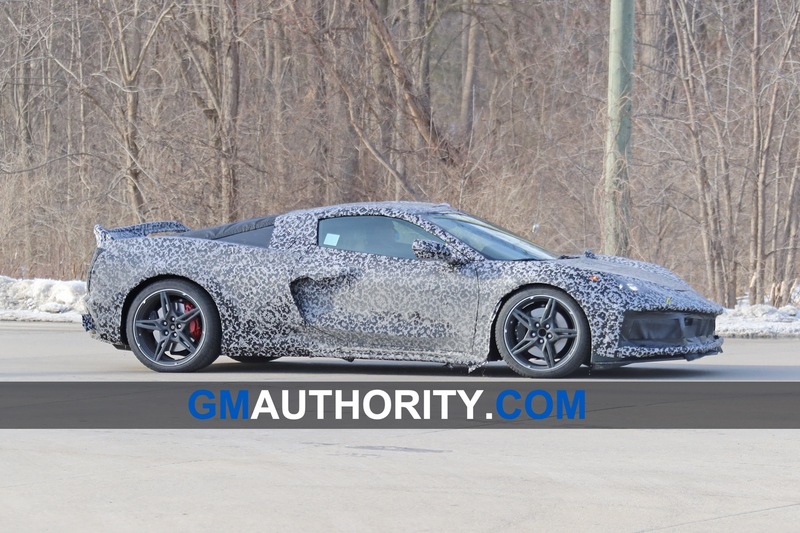 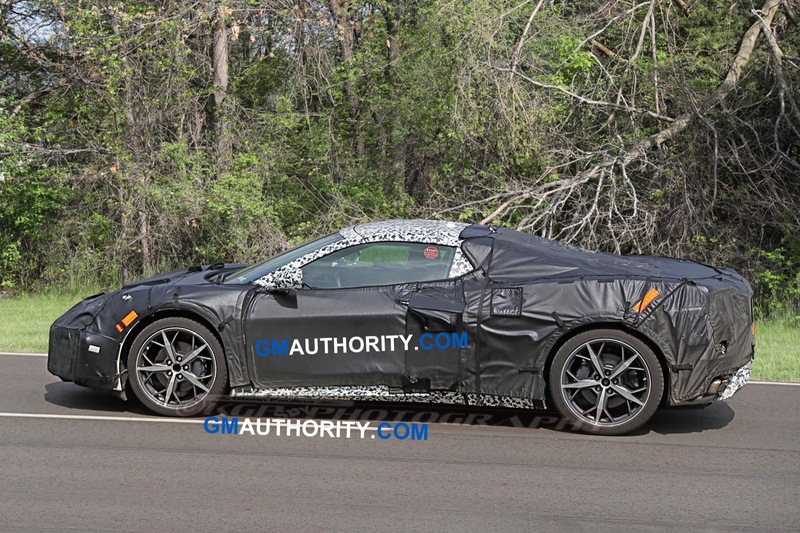 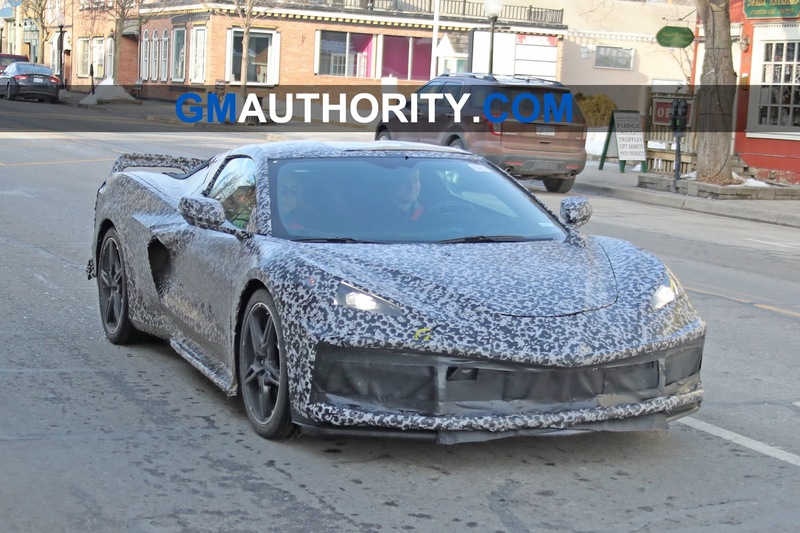 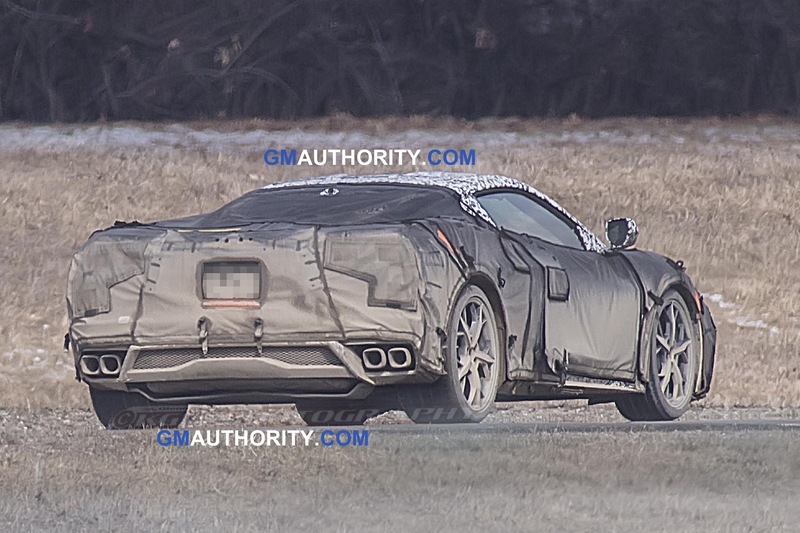 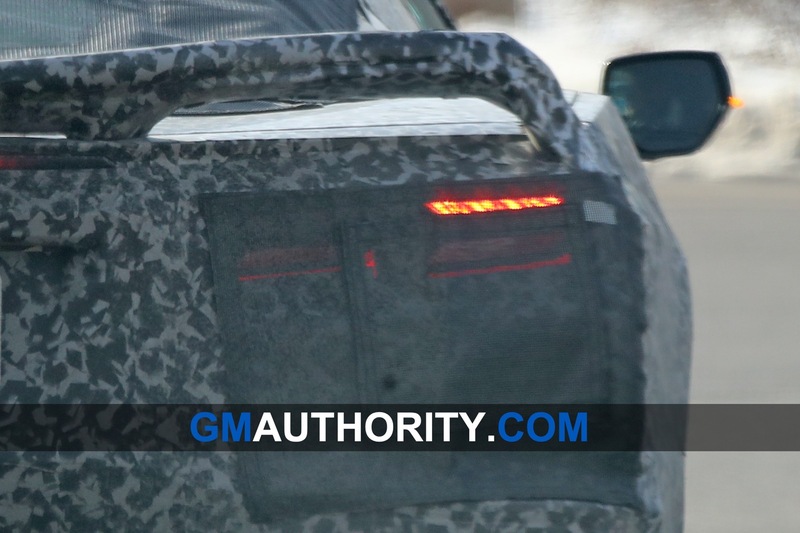 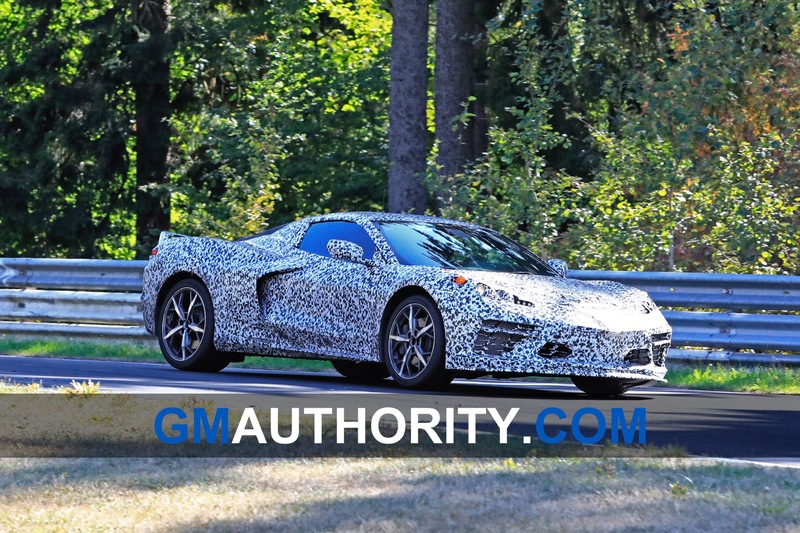 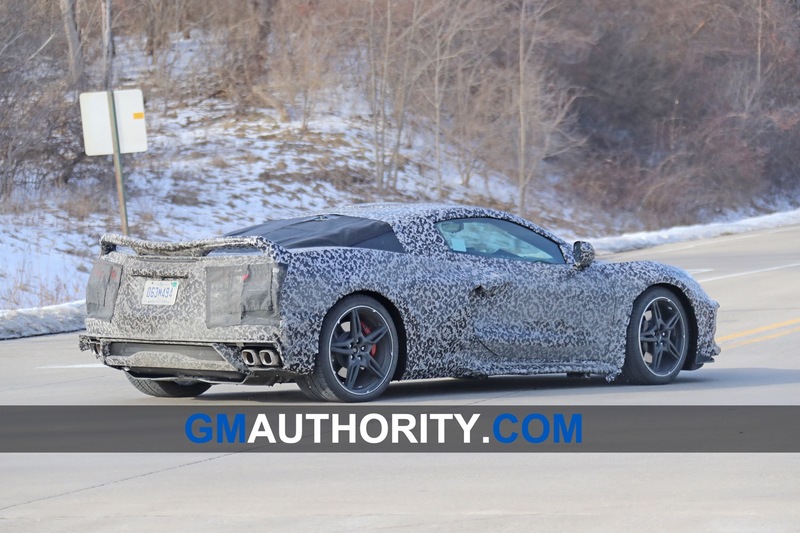 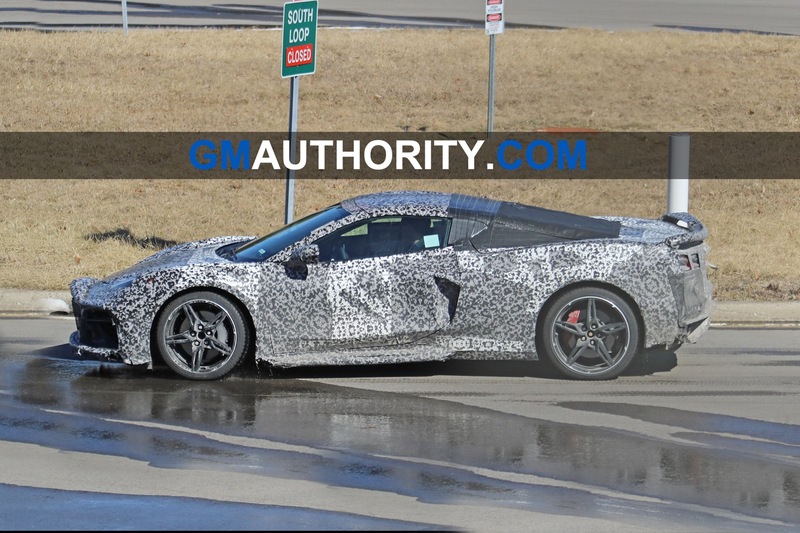 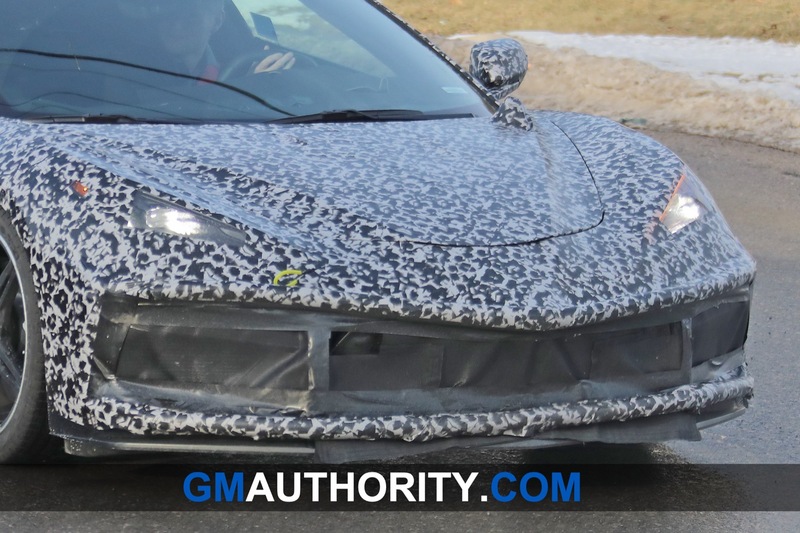 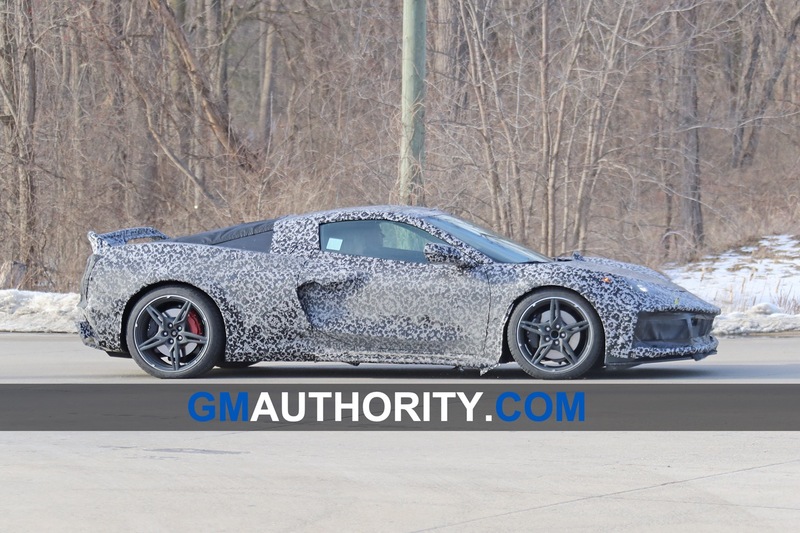 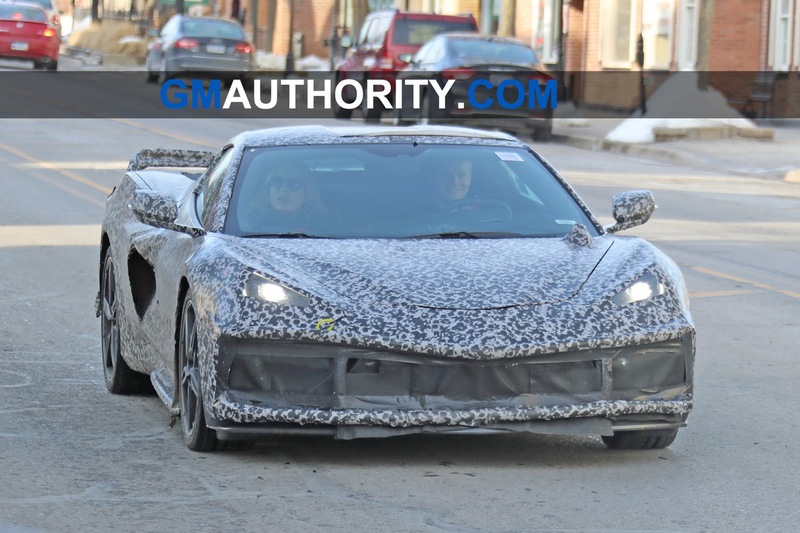 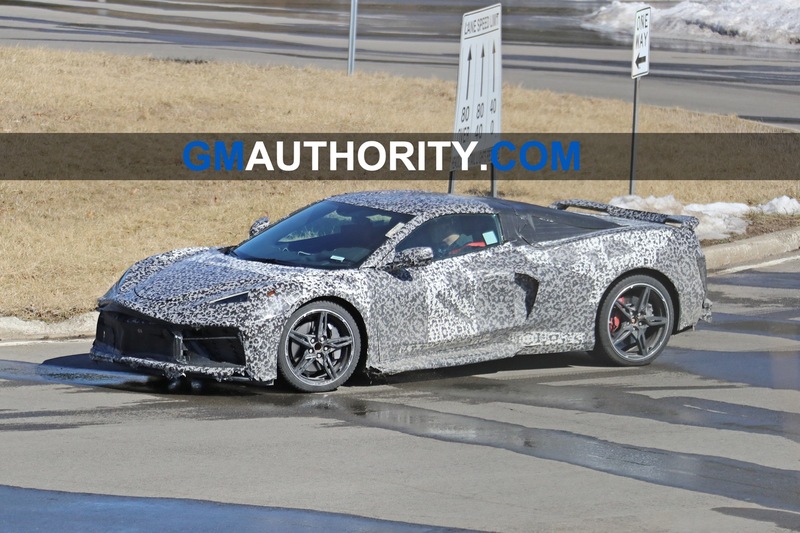 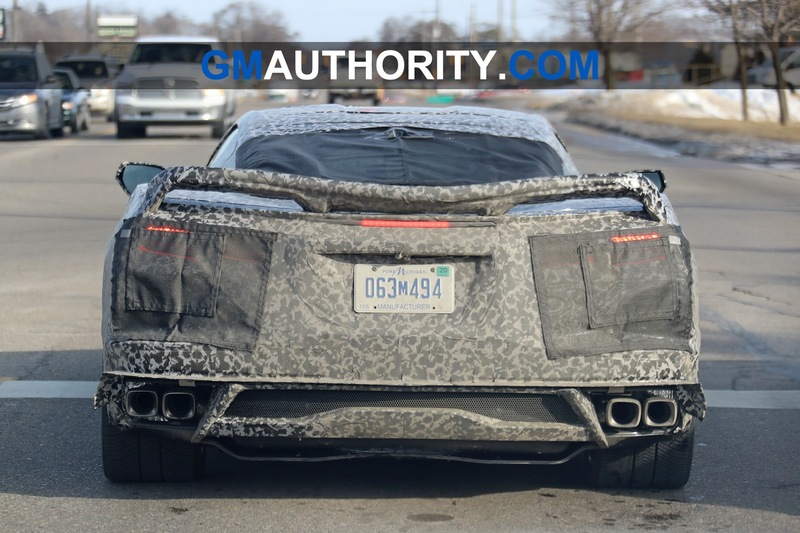 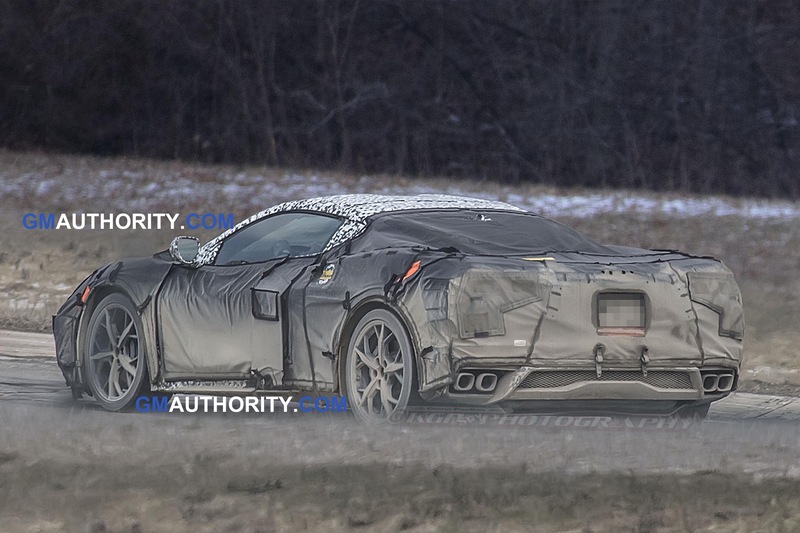 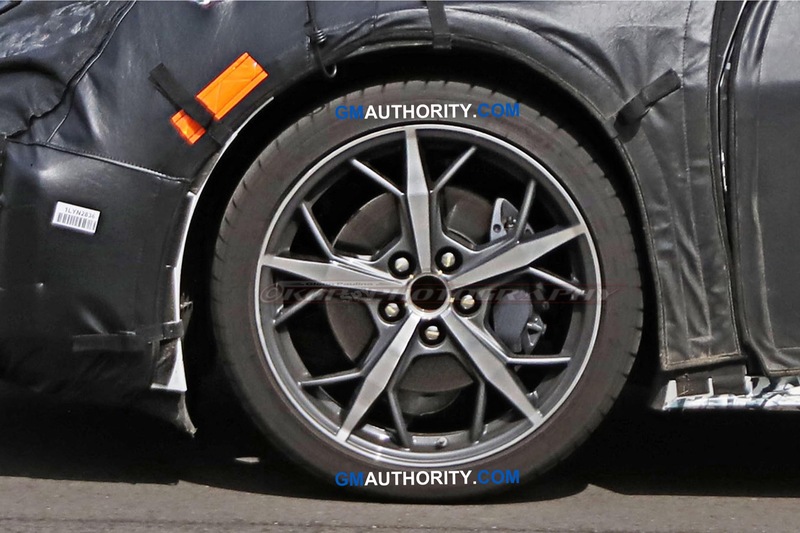 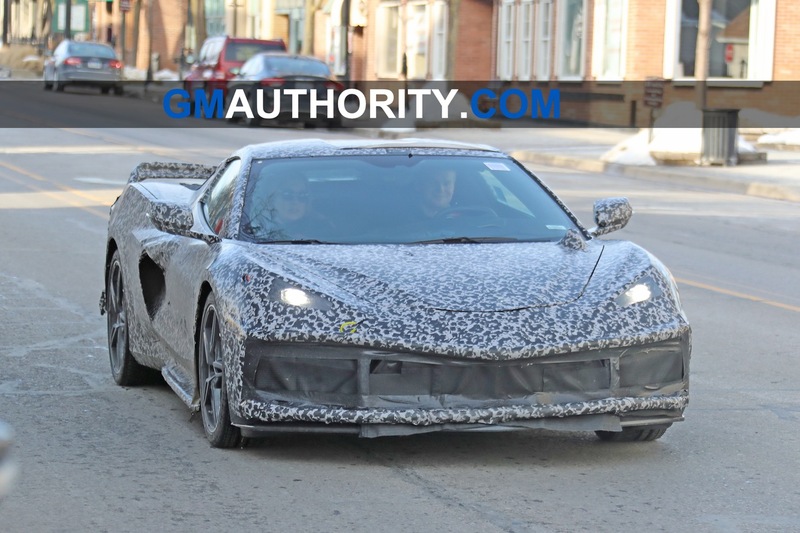 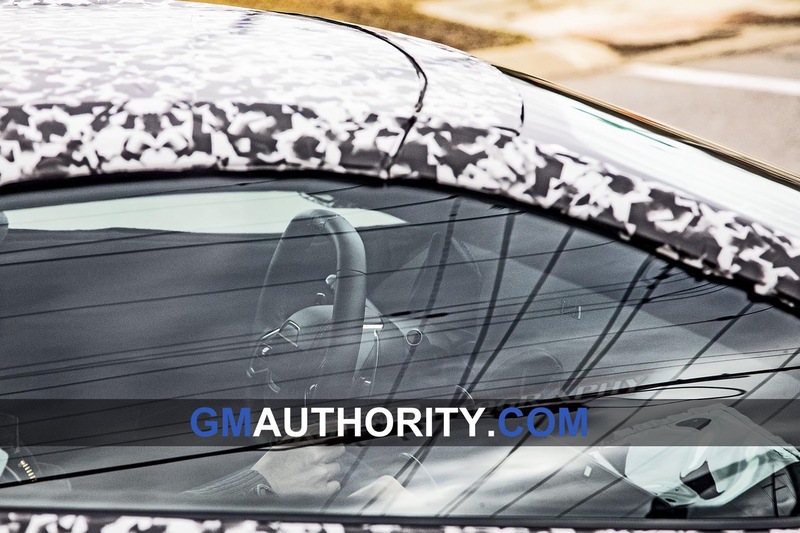 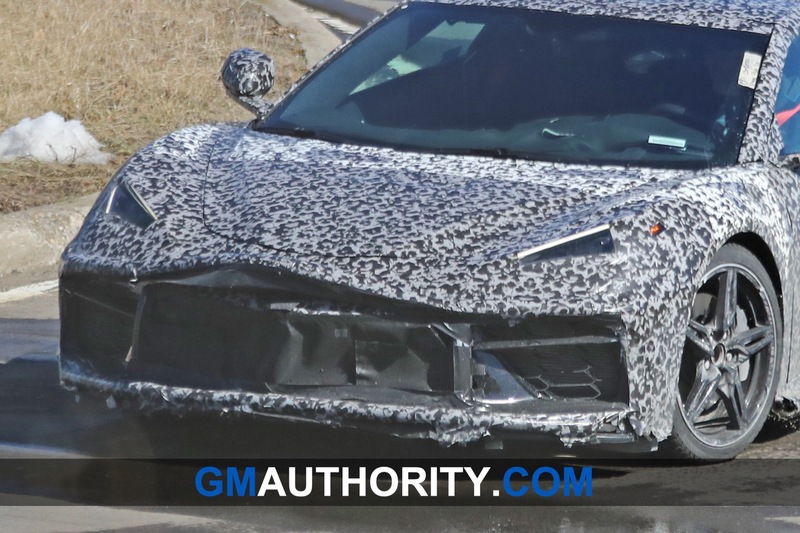 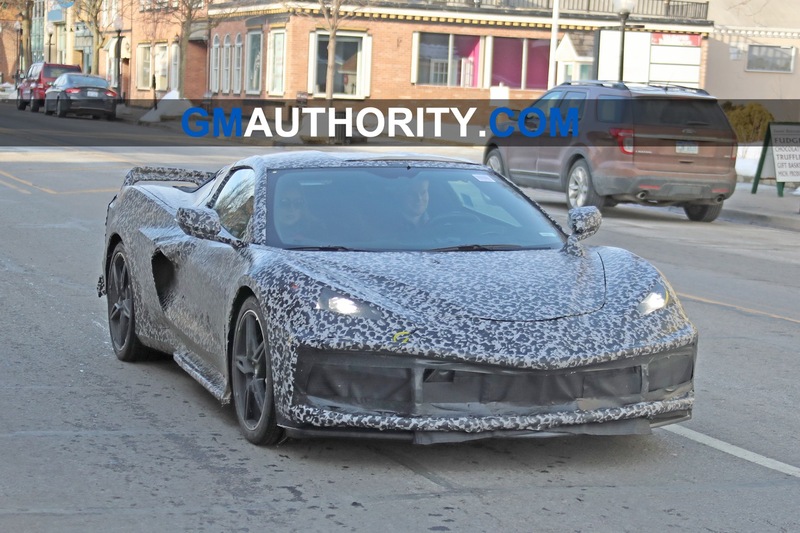 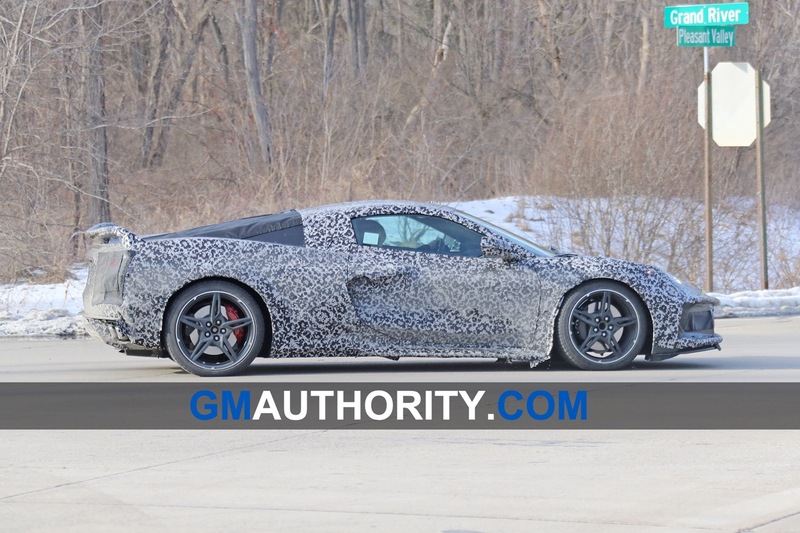 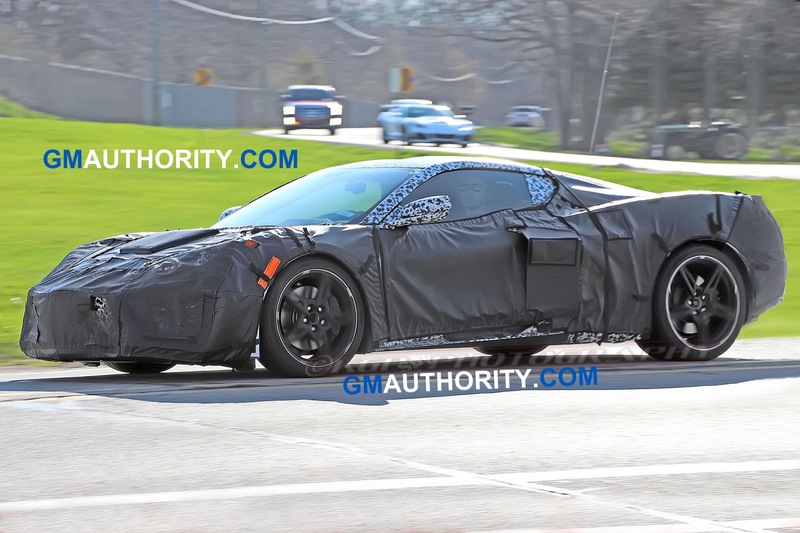 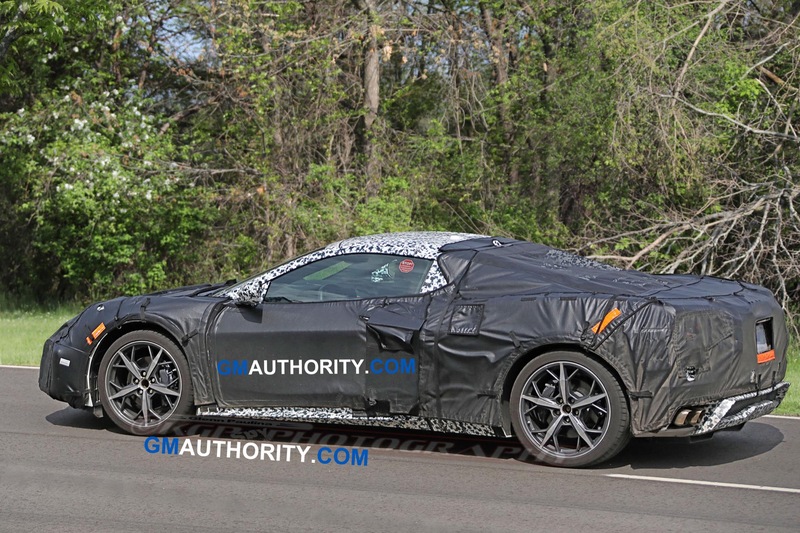 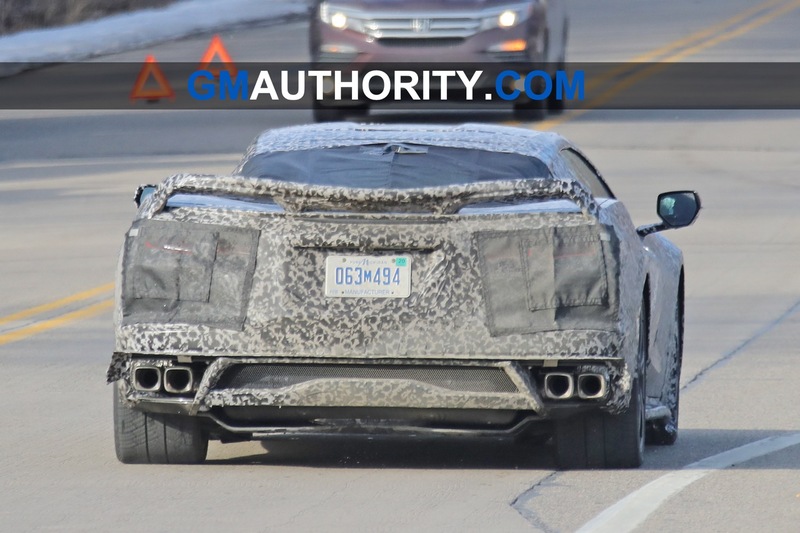 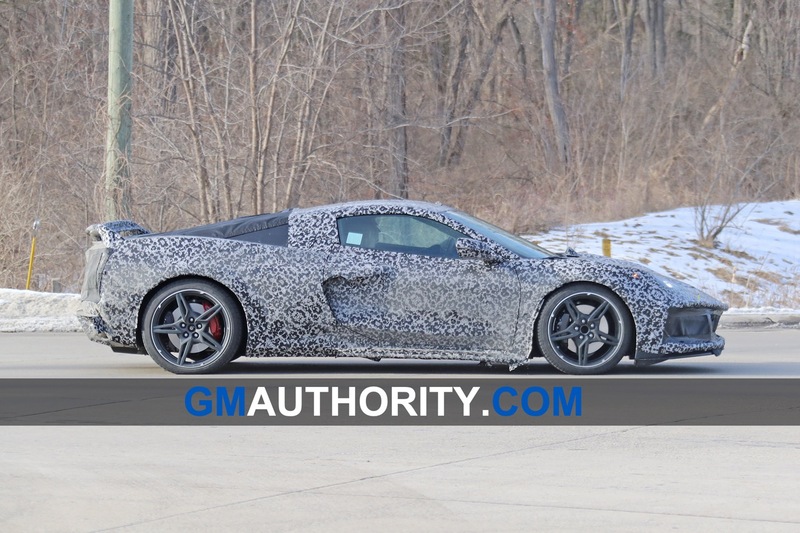 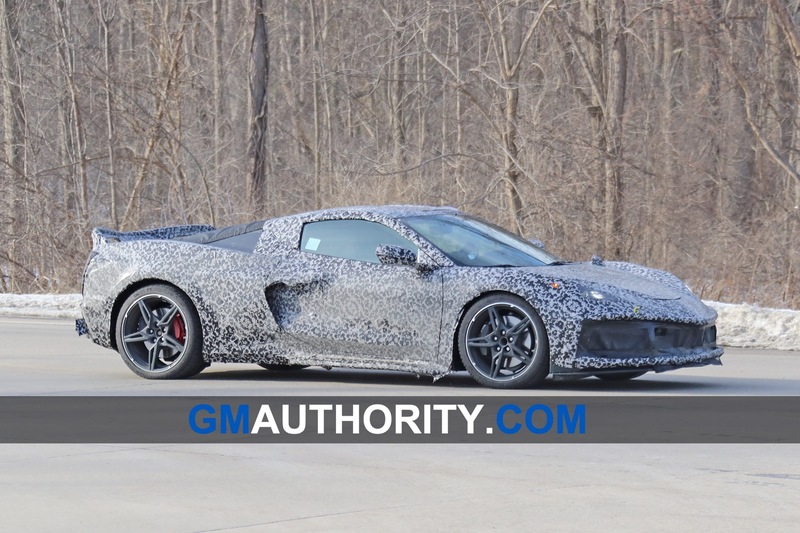 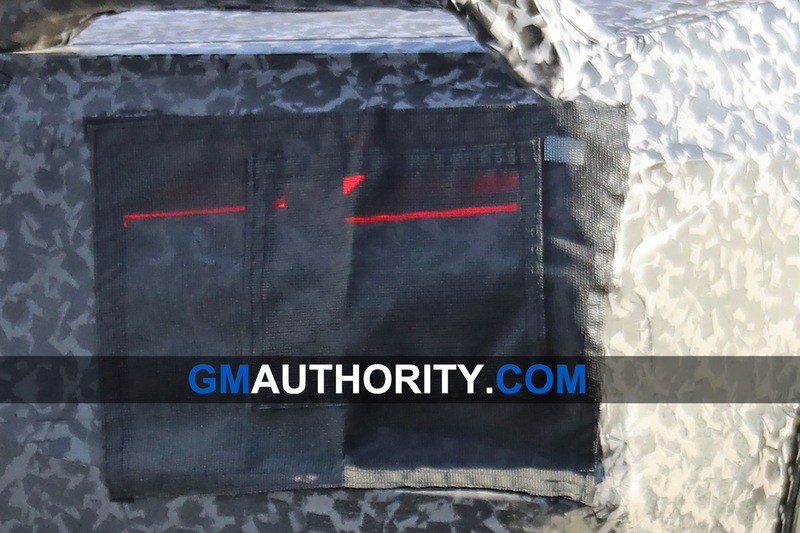 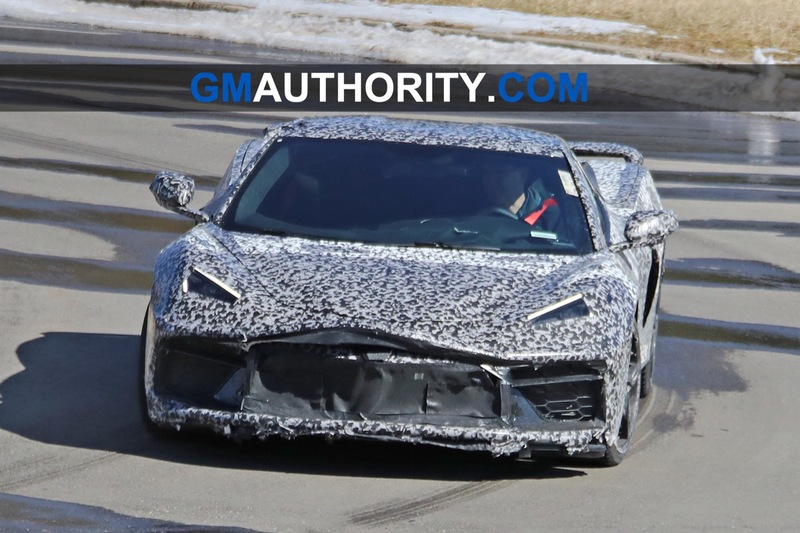 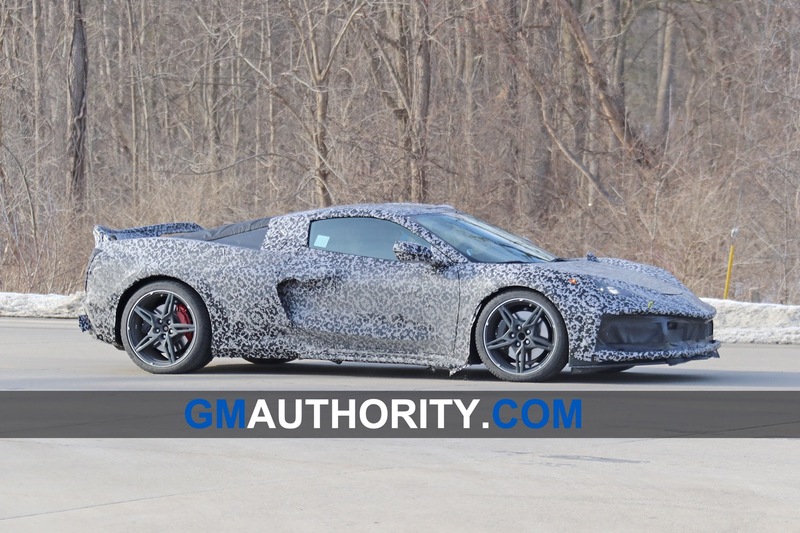 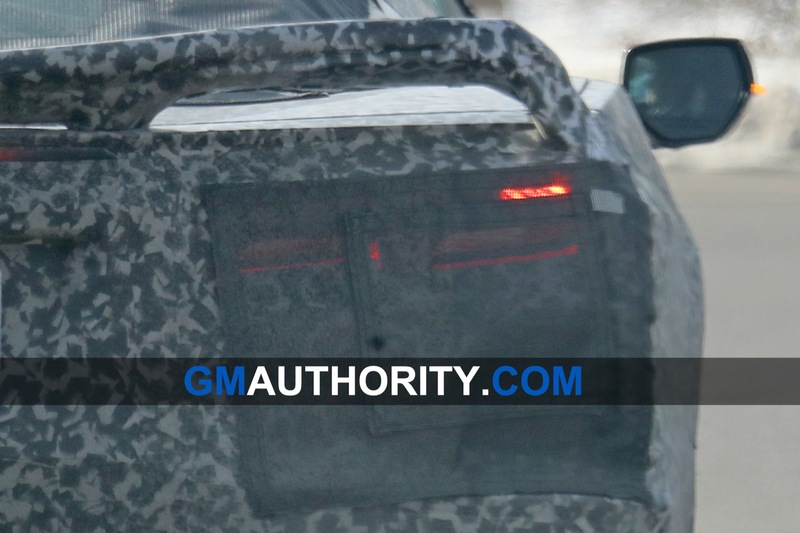 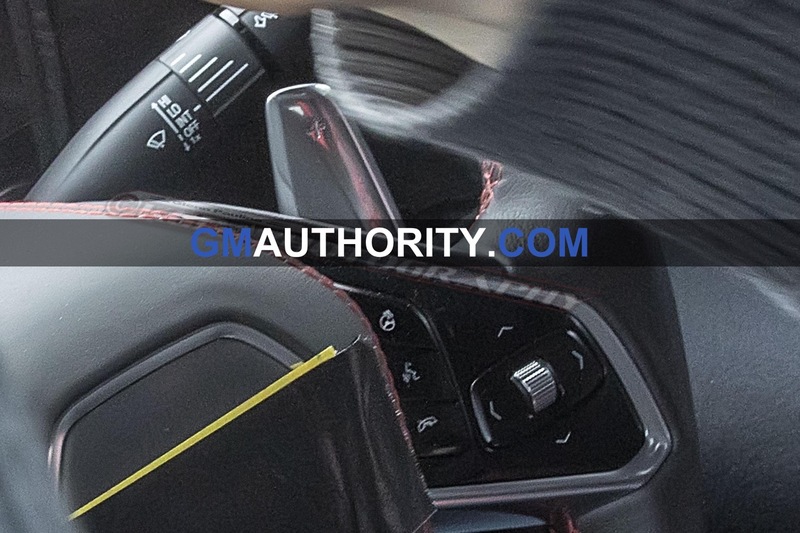 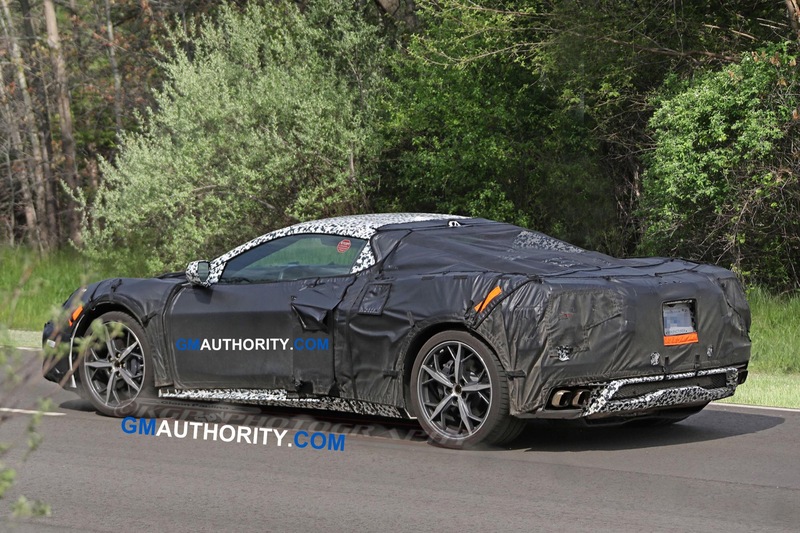 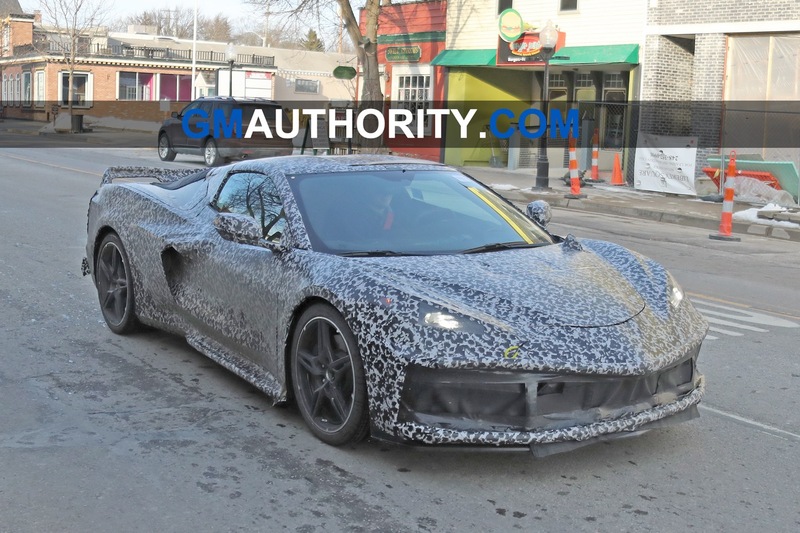 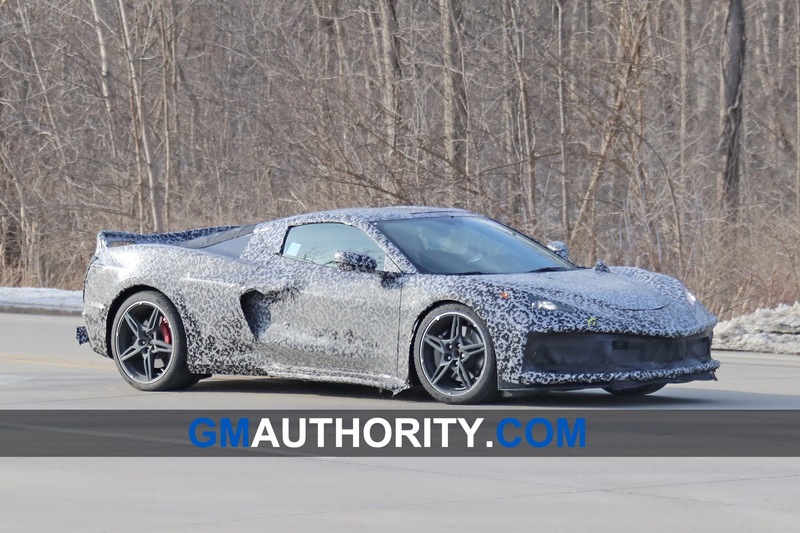 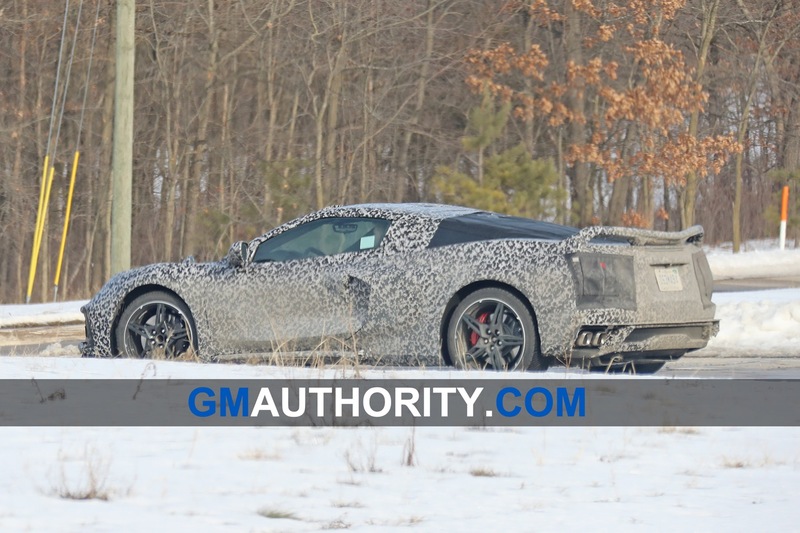 While the part in question looks quite odd, the camouflage appears to match that seen on mid-engine Corvette C8 prototypes. 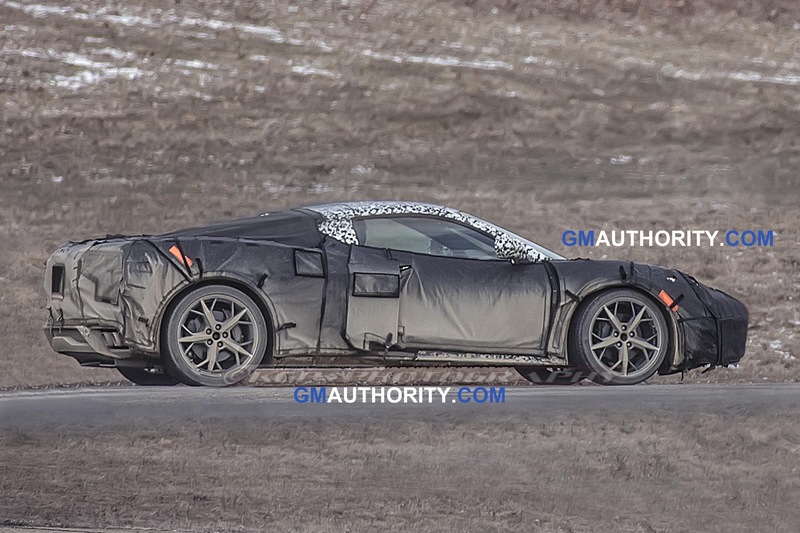 Such camo would also be quite hard for an amateur to replicate. 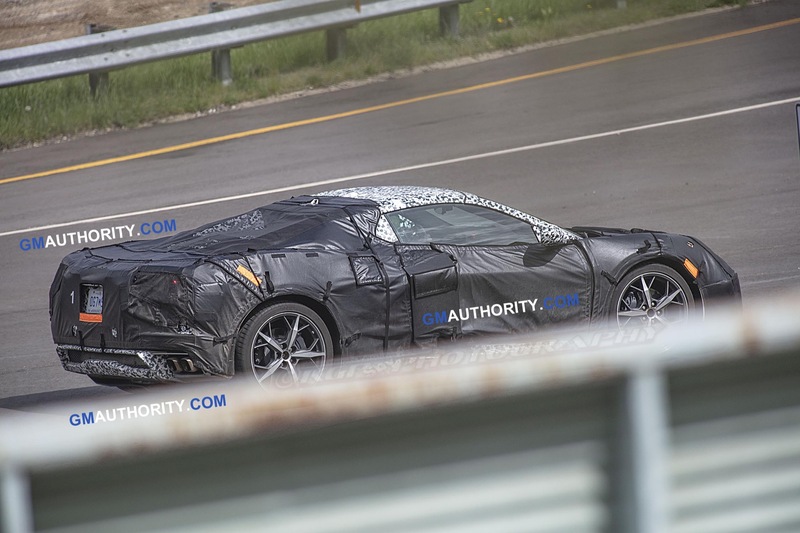 Furthermore, a second poster claims they saw a fleet of C8s near their house in North Carolina last week just a short drive from VIR. 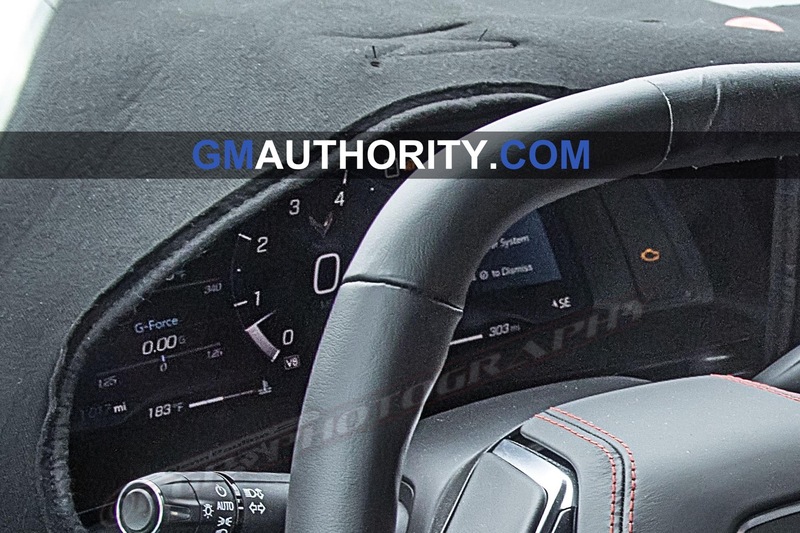 Another publication, Carscoops, already reached out to GM for comment on the matter. 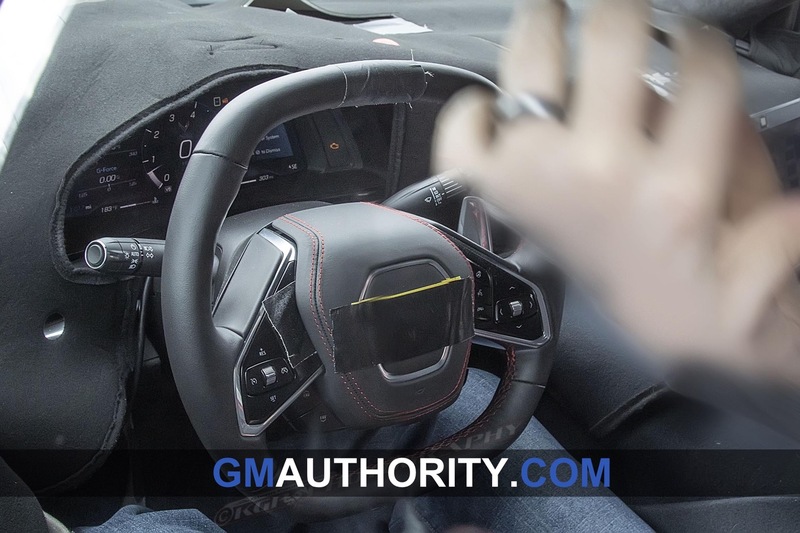 A spokesperson for the automaker had a strange response, saying “my gut tells me no accidents happened at VIR last week.” This may suggest that this specific person was not made aware of the incident, leaving them reluctant to say whether or not it happened. 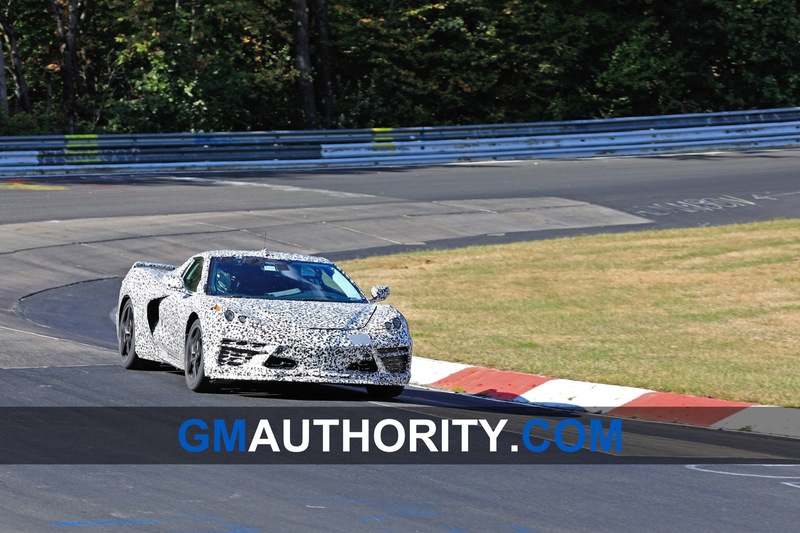 VIR has not responded to comment on the matter, which is probably for the best, given that GM frequently uses the track for testing and lap records. 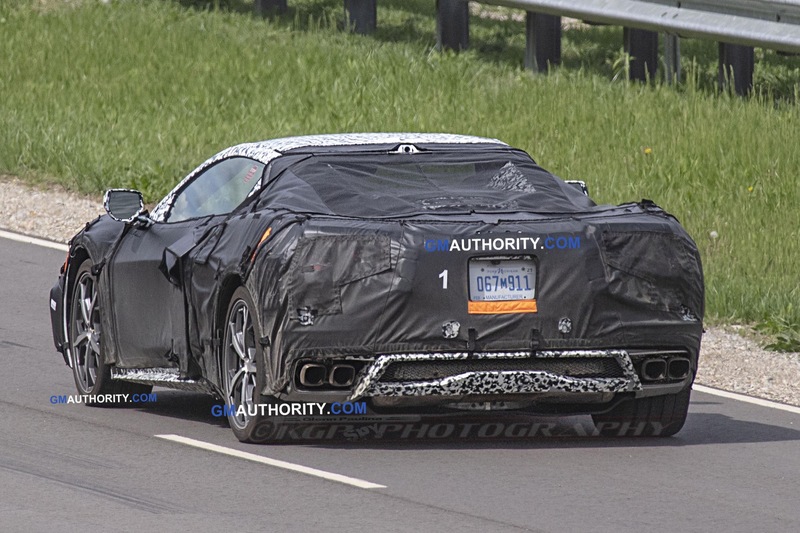 It’s also worth noting that GM’s response did not deny the Corvette development team was present at VIR last week. 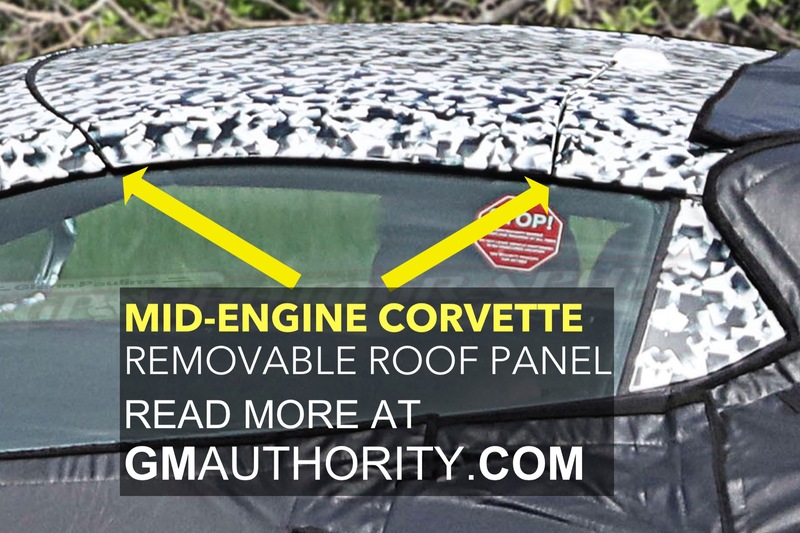 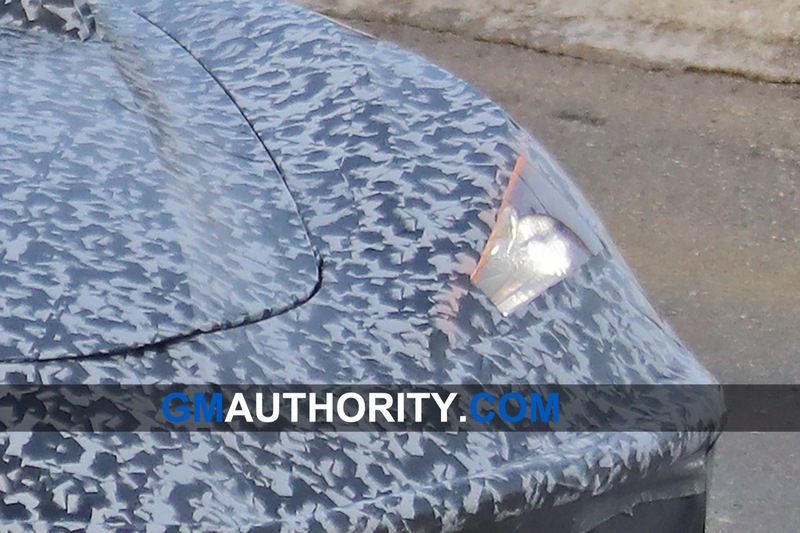 GM Authority will provide an update on this story if more information comes to light. 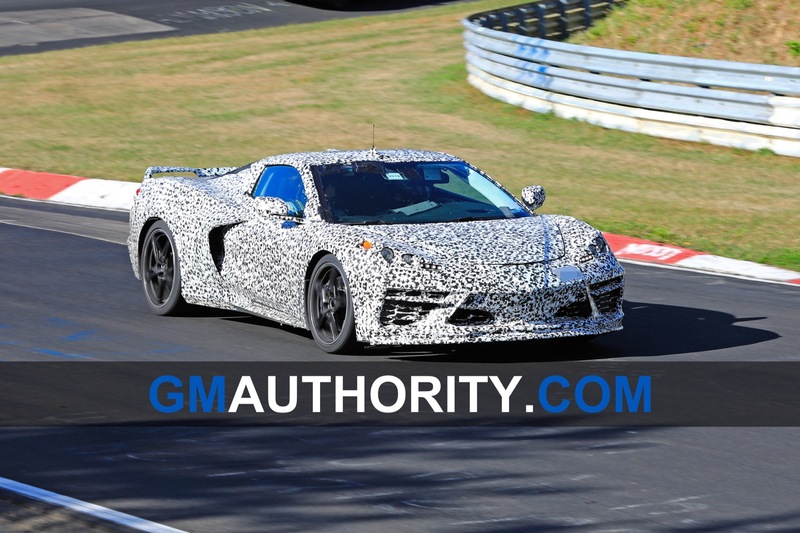 Did they let Mark Reuss behind wheel? 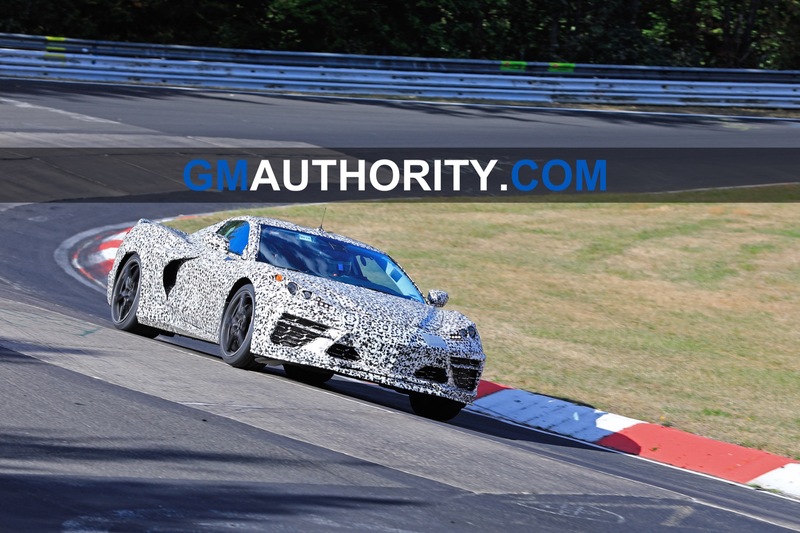 Was thinking the same thoughts, obviously from his crash last year in the pace car when he spun out…. 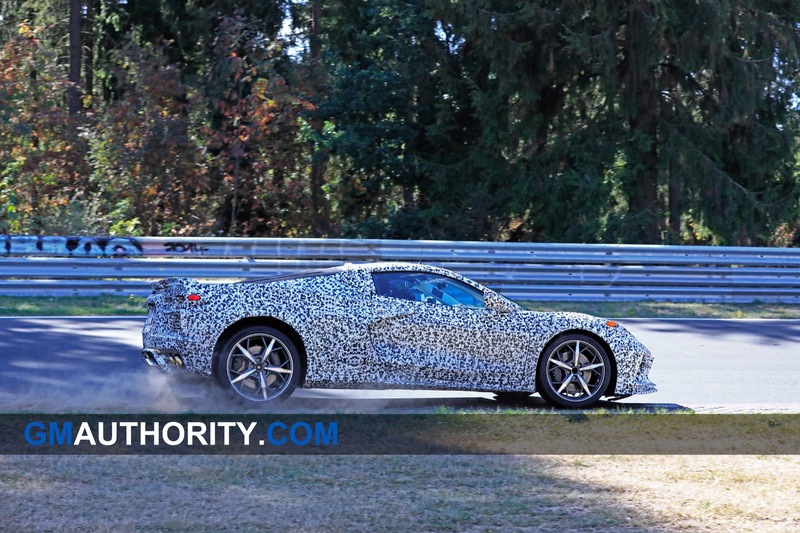 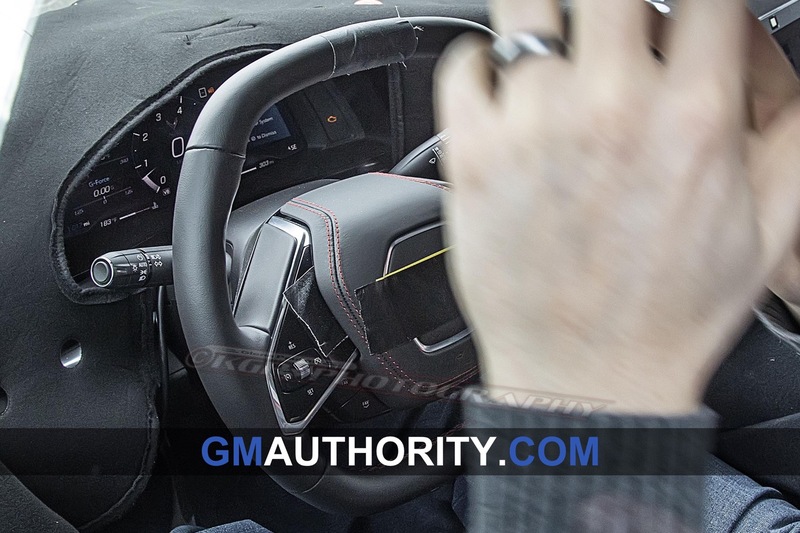 …and the fact that he was recently spotted riding in one of the C8 prototypes. 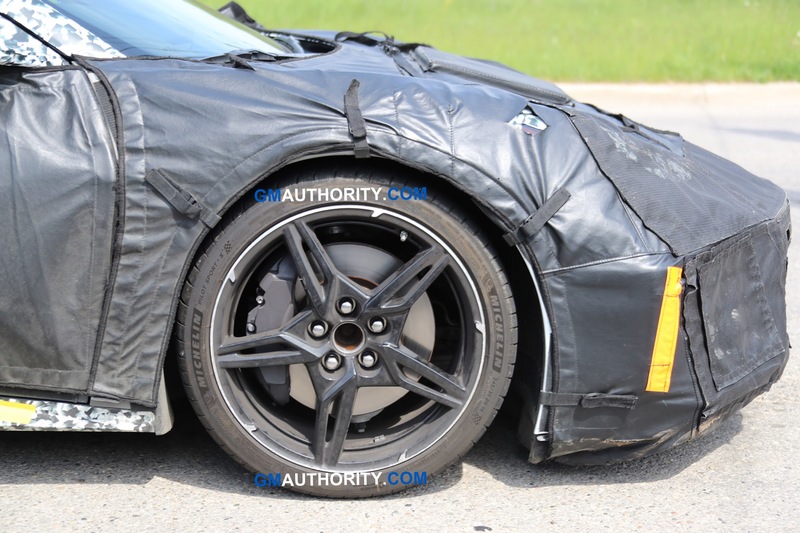 They crashed the ZL1 in testing too. 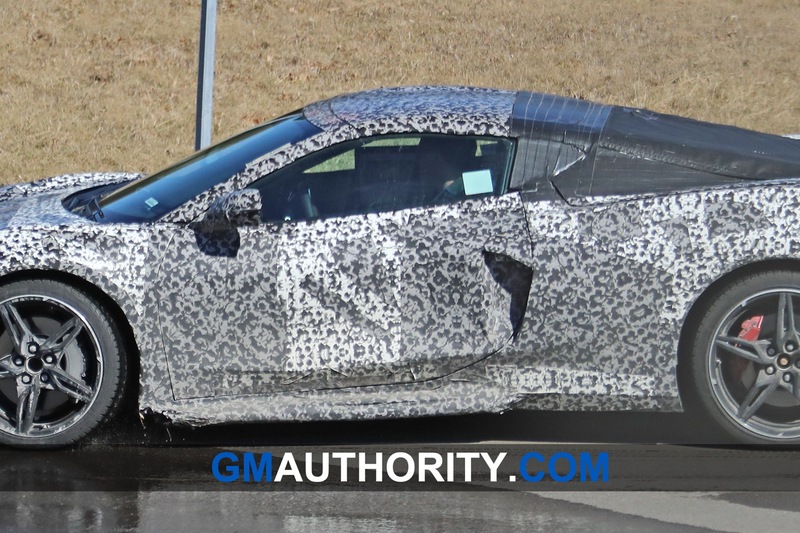 If you you ain’t crashing you ain’t trying. 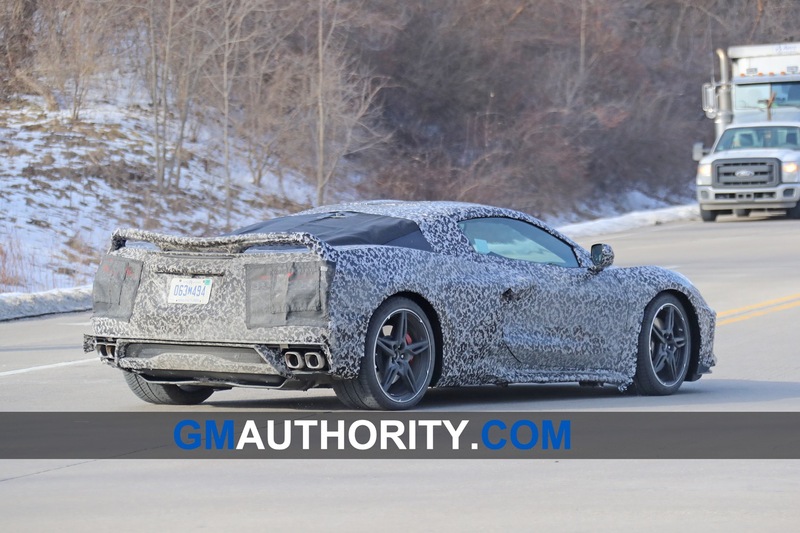 If you all remember, they crashed a C7 while still in development. 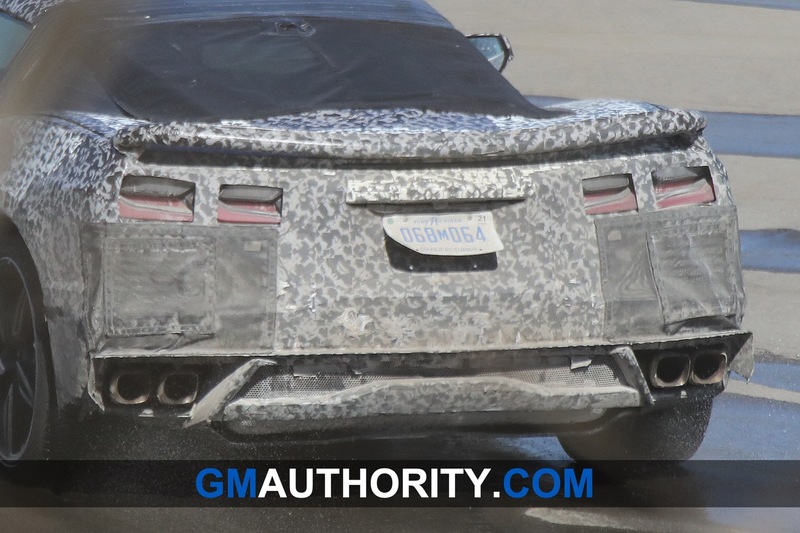 I think it was on a winding highway in Arizona. 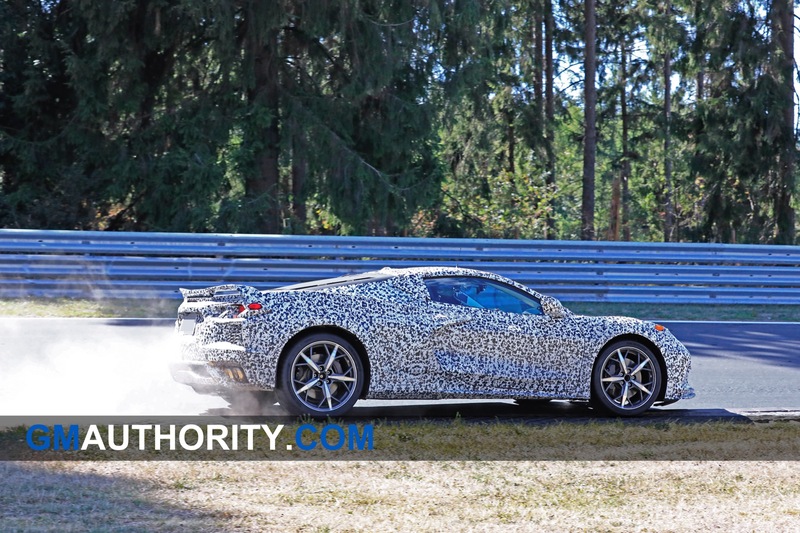 This stuff happens, especially if testing the limits of the vehicle on a race track. 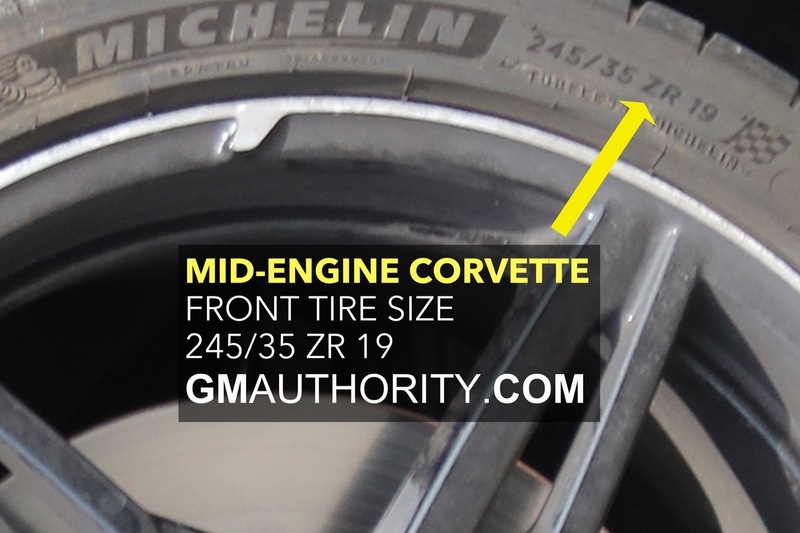 Teh poster put together for (Jim?) 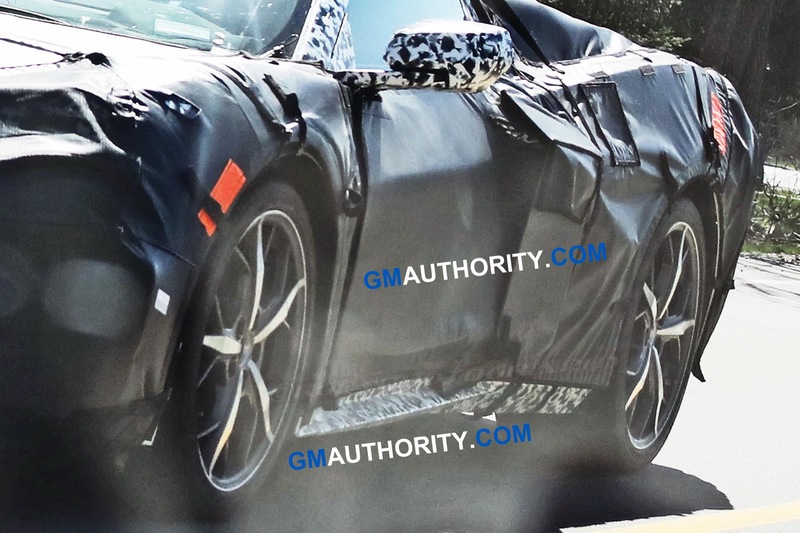 Mera’s retirement showed a few Corvettes crashed during testing, so maybe this is just their way of testing the airbags… (it won’t let me post the picture, but there were 4 crash pics on ht3e poster). 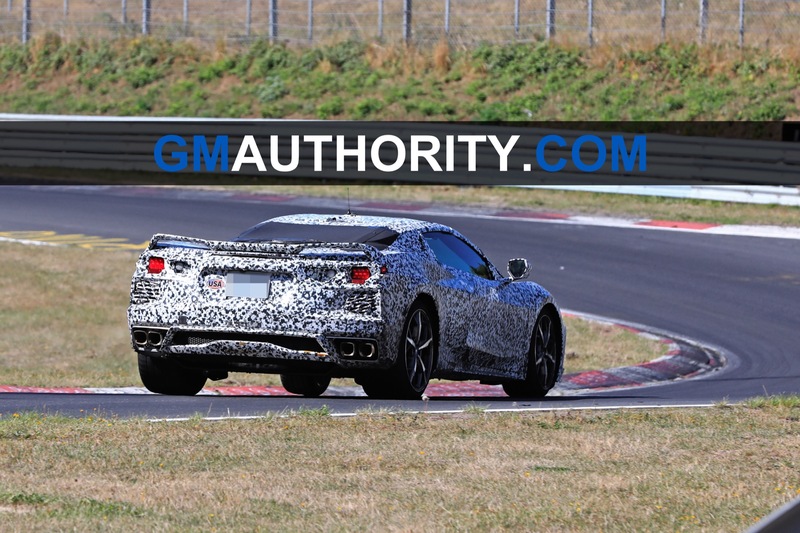 How else are you going to establish a sports cars limits if you dont go over its limits? 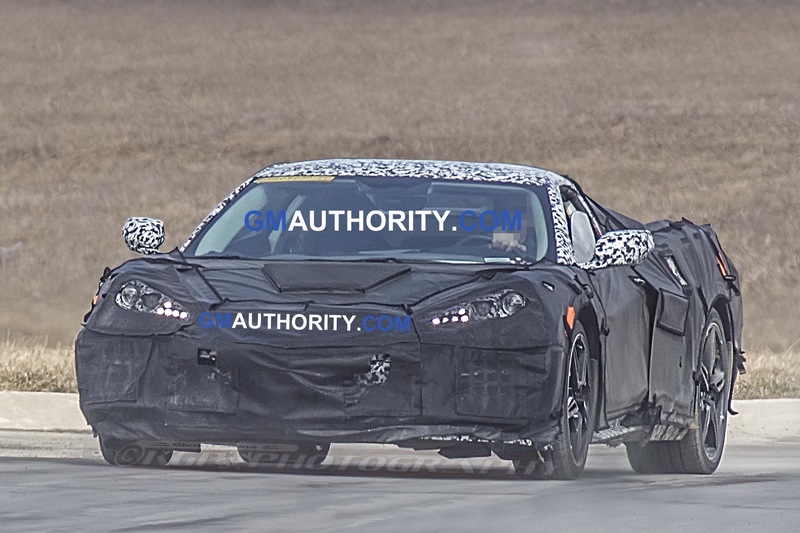 Why the hell dont manufacturers test at night time for obvious reasons? 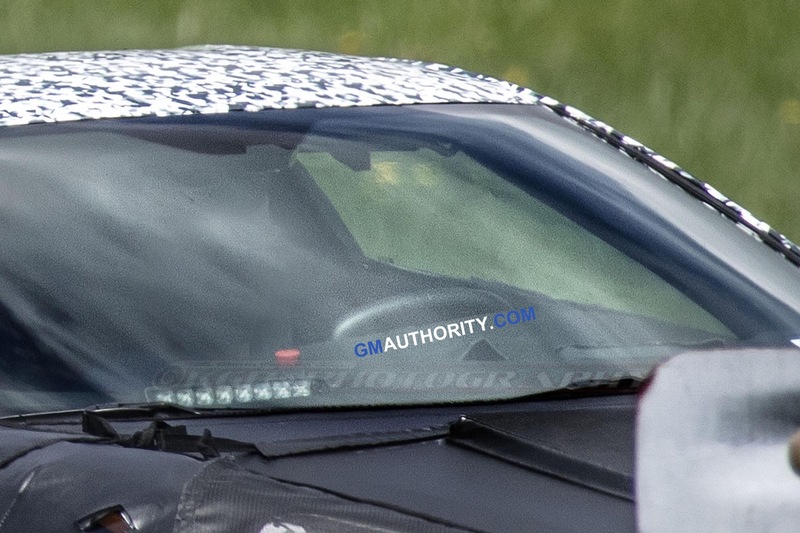 I just hope that none of the Hamsters in the Hamster Wheel engine were not hurt? 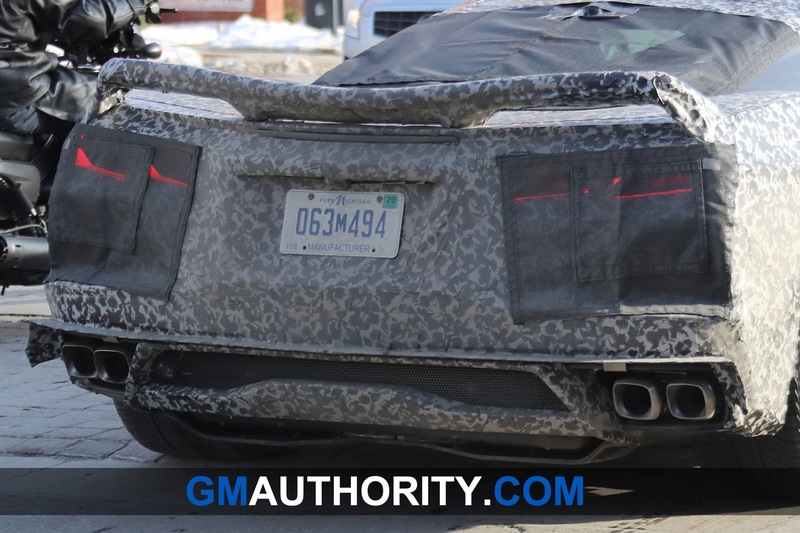 Talk about tragedy? 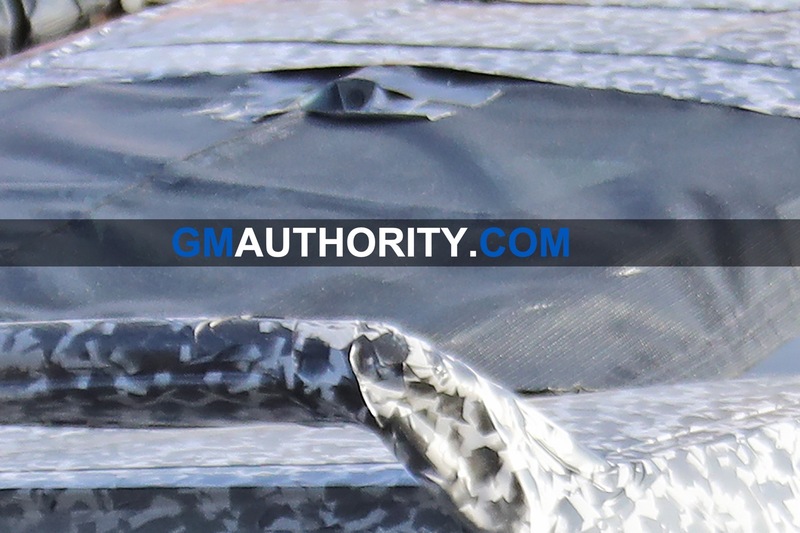 This another example of how a remote controlled drone could’ve easily gotten the 100% truth from a birds eye view at a high altitude hover? 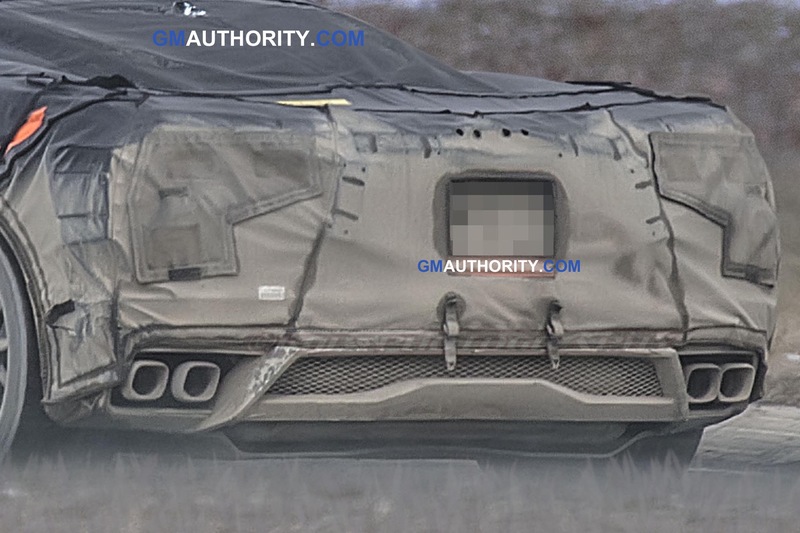 Is it just me or does that part look like an intake cover from the drivers side quarter panel? 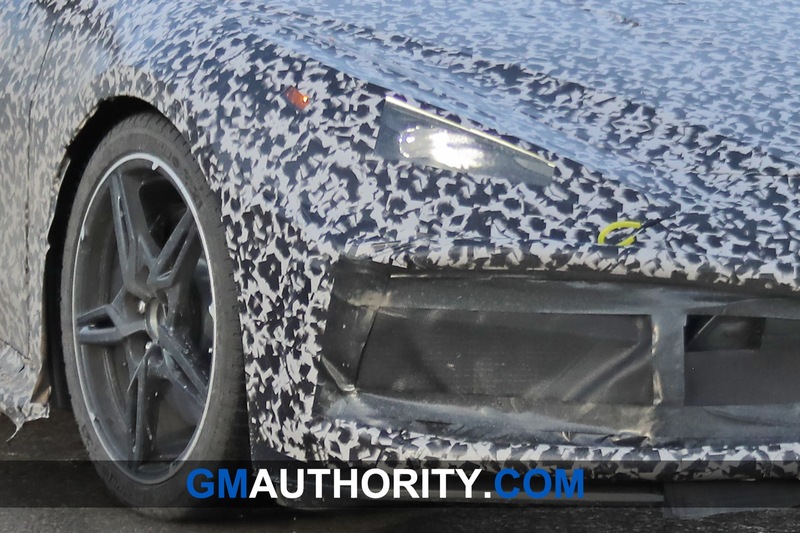 It’s a prototype during testing …. 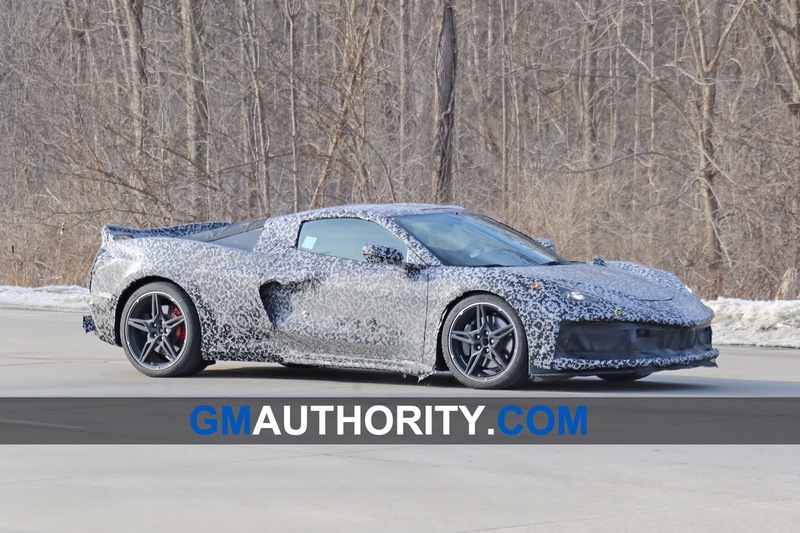 I mean this is what you’re supposed to find. 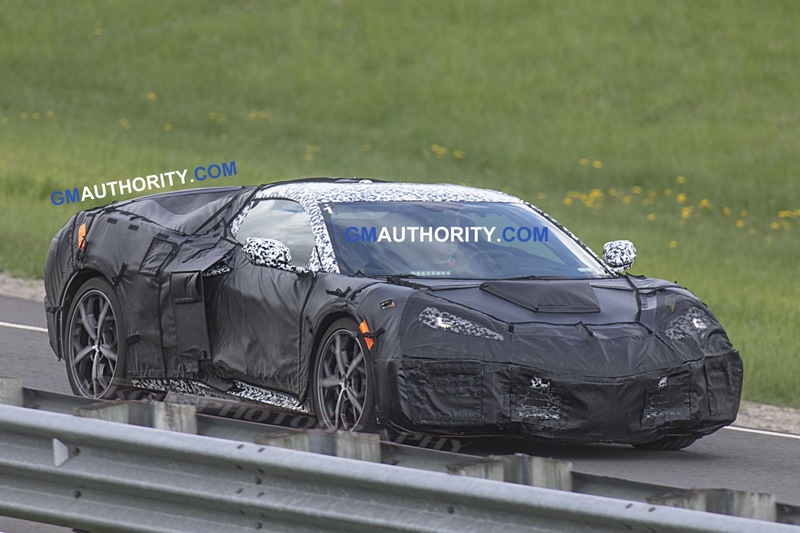 Jeez a prototype breaks down … it’s the end of the world !! 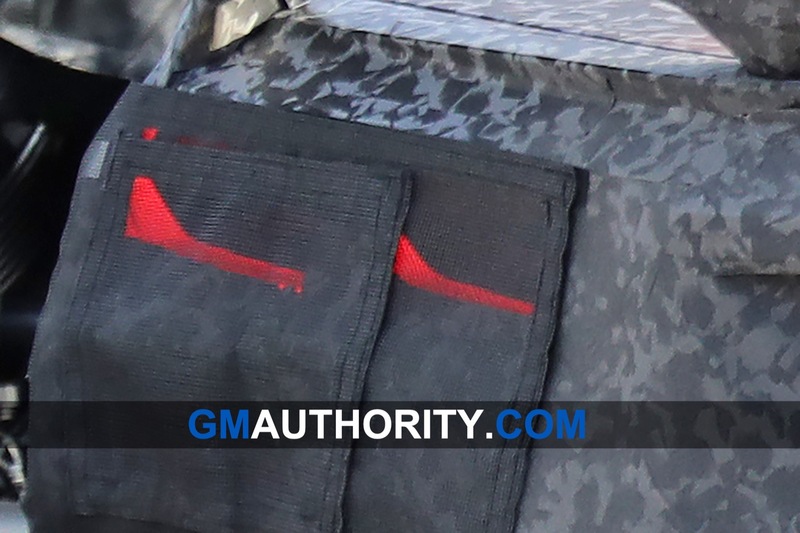 The email to staff for that renter told them that they weren’t going to be allowed entry to VIR before 7:30 several days before this incident could’ve happened. 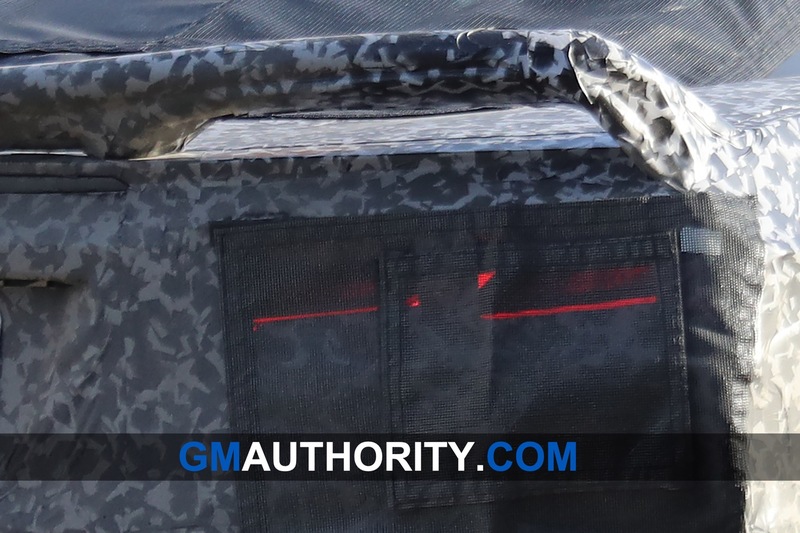 They weren’t held up at the gate because of an incident. 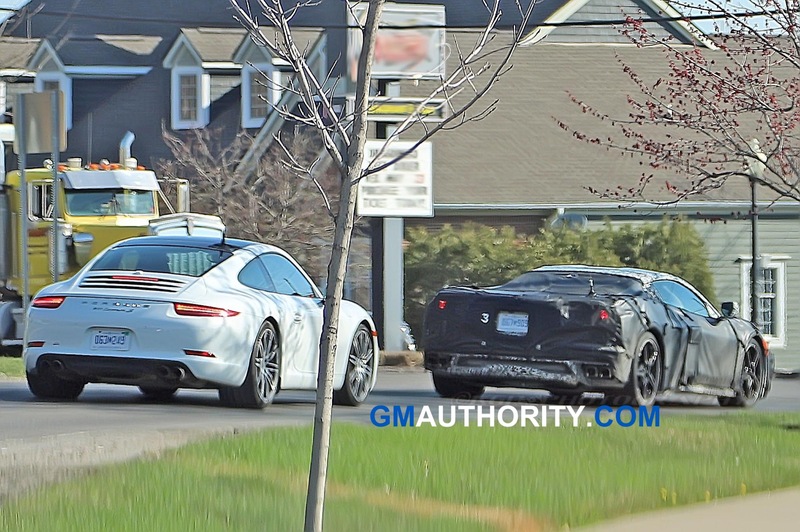 They were not going to be allowed in before 7:30 due to the renter. 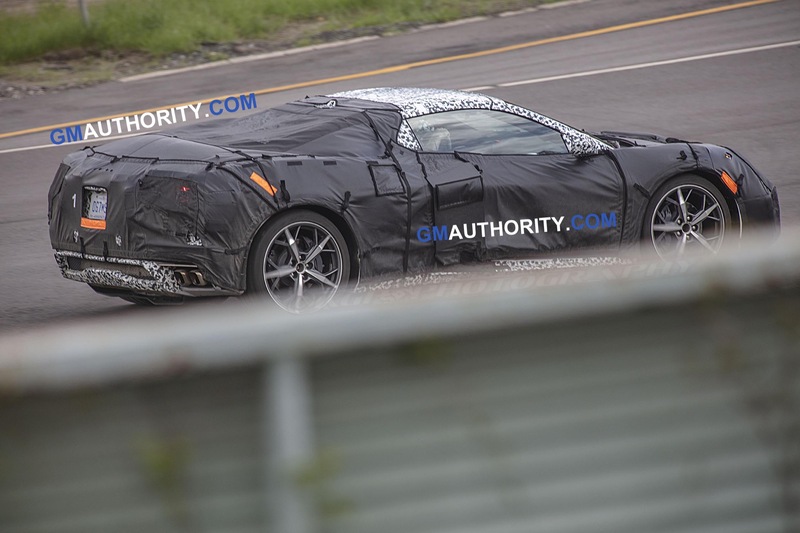 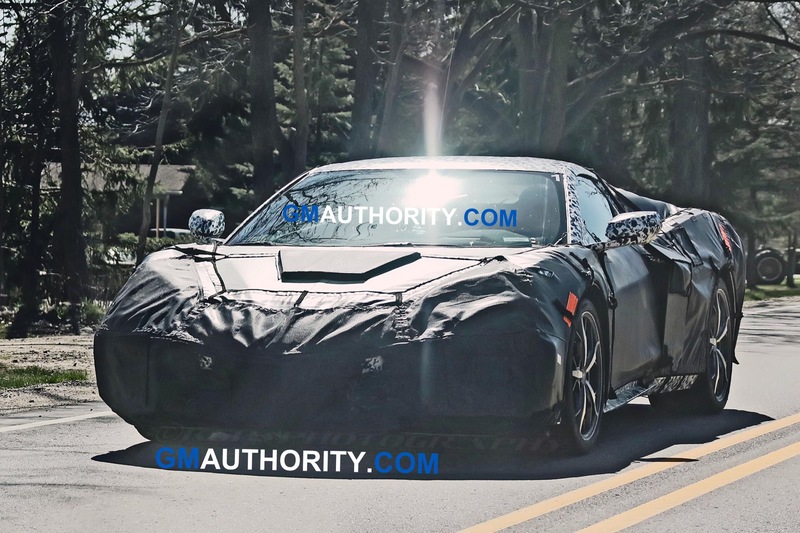 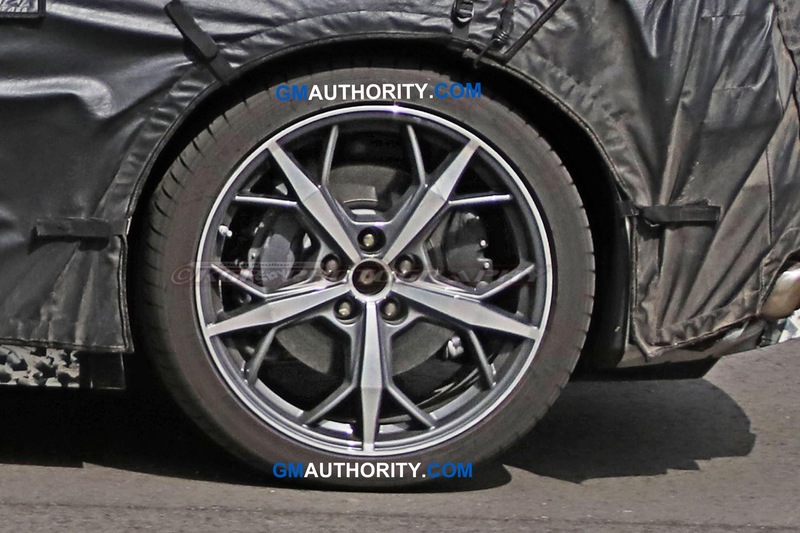 The C8 is far enough along in it’s development to test the edges of the envelope. 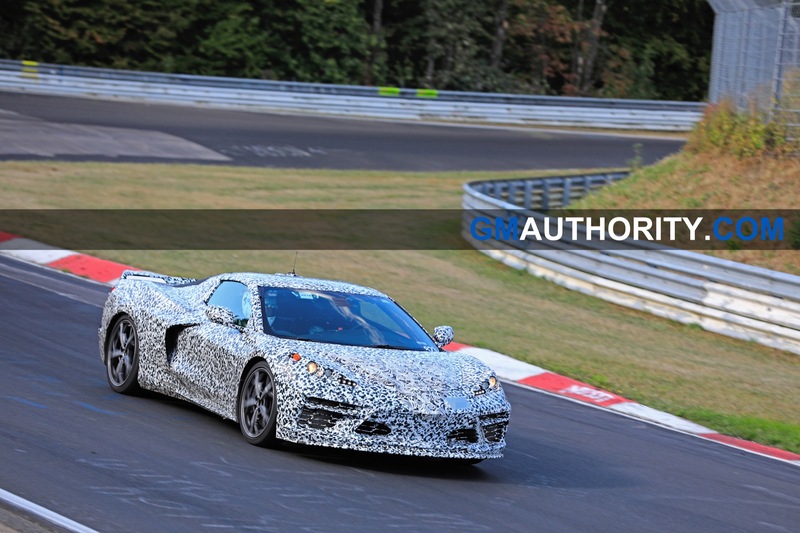 I don’t know about you, but I wouldn’t want to drive an new production vehicle that has not had its limits defined. 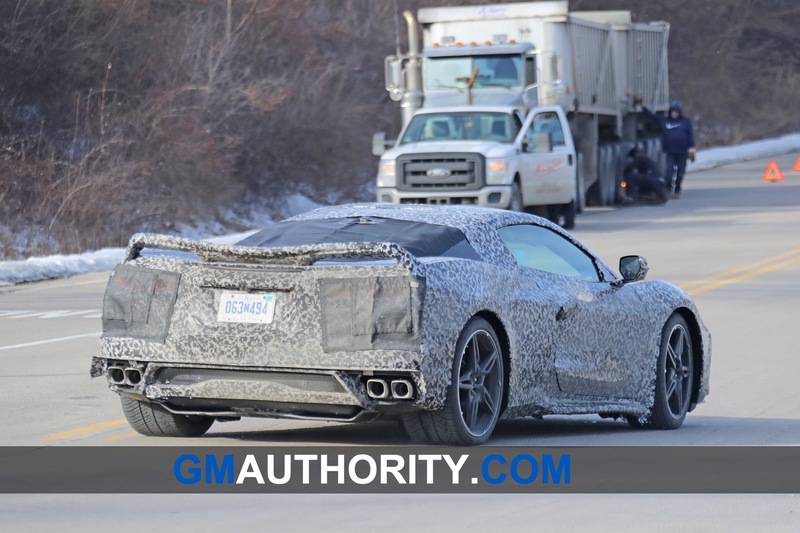 C’mon, seriously?! 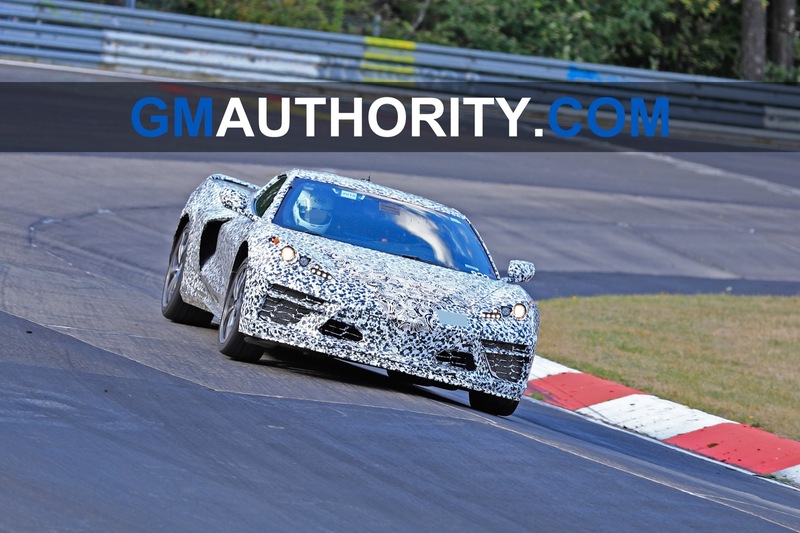 Are you a factory driver capable to run any car to its limits? 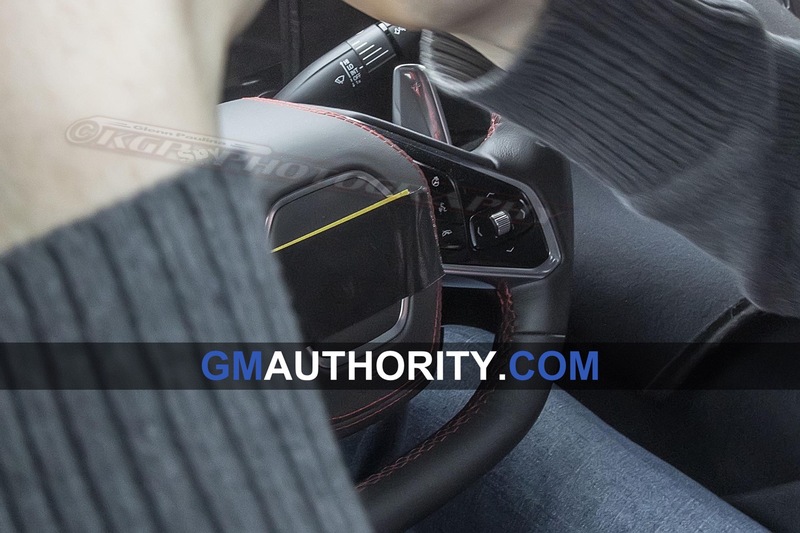 I doubt 99% of every driver has never approached their vehicle’s limits. 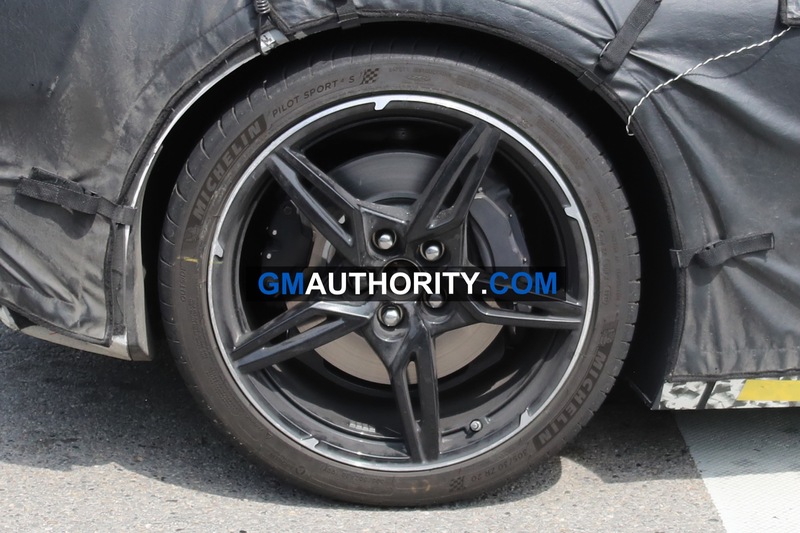 Not even suv drivers are capable of driving over puddles with huge wheel clearance. 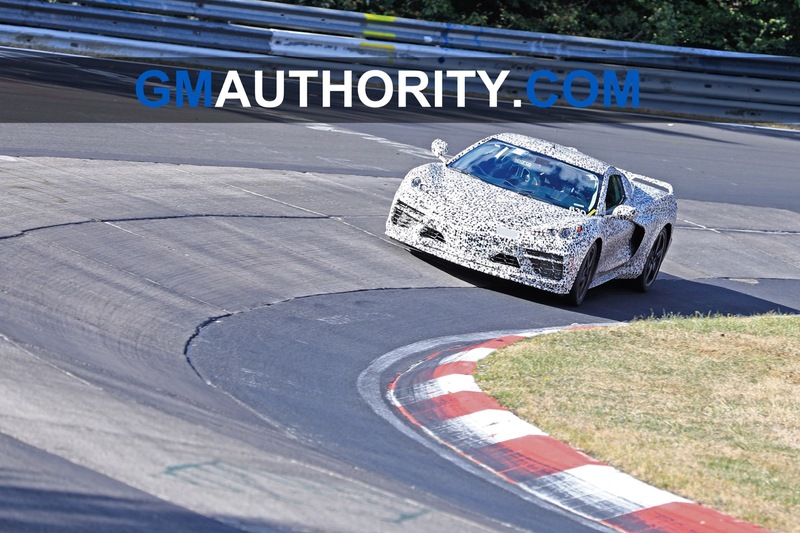 My guess is the few factory drivers, amateur race car enthusiasts and professional race drivers are capable of finding a vehicle’s limits of performance, exceed it and remain in control over the majority of drivers assuming they know their car’s limits. 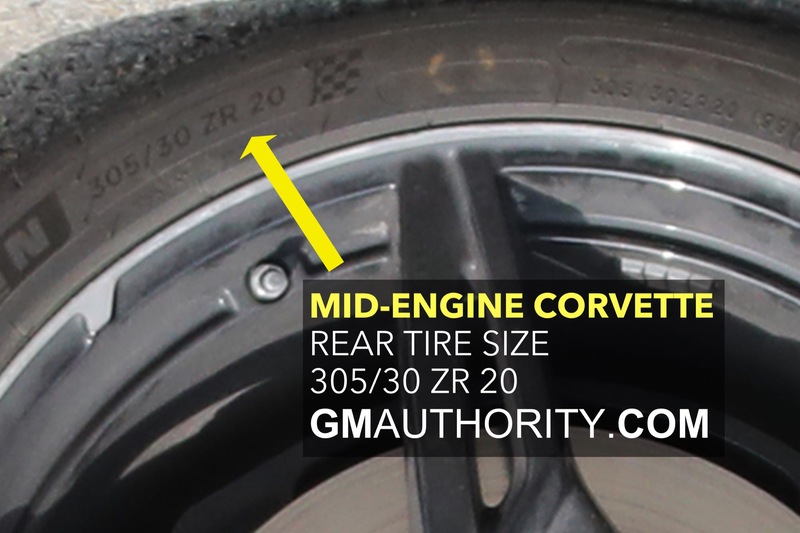 Most assuming they know usually bend their cars, finding out how little they know about their lack of skills. 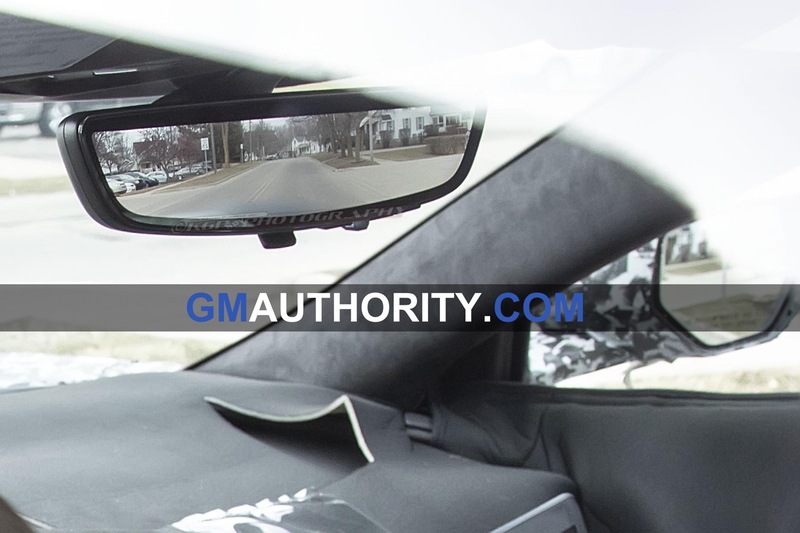 I hope the driver was not injured. 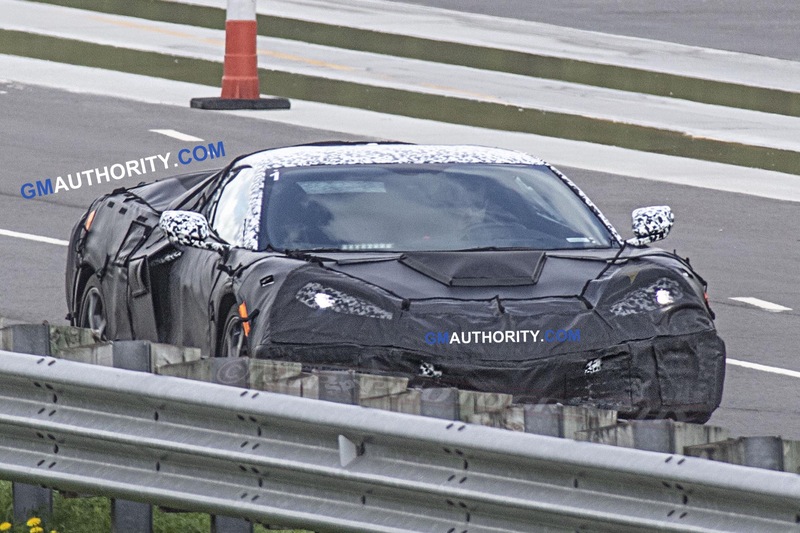 There wasn’t mention of an ambulance, so that is a good sign.